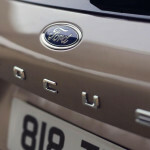 This year it is exactly 20 years since the start of the production of the first Ford Focus model. 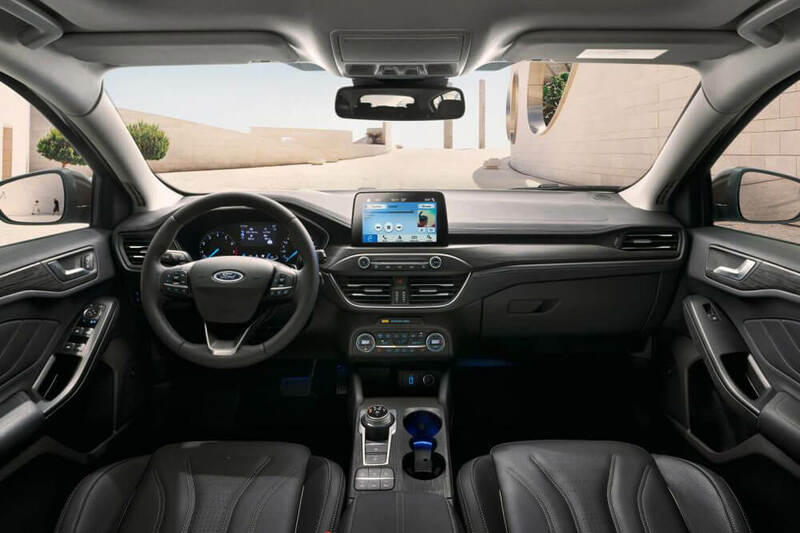 In 1998 Ford introduced a novelty to the market, it was a very exciting moment for the automotive industry, and the car from those years still impresses with its appearance. 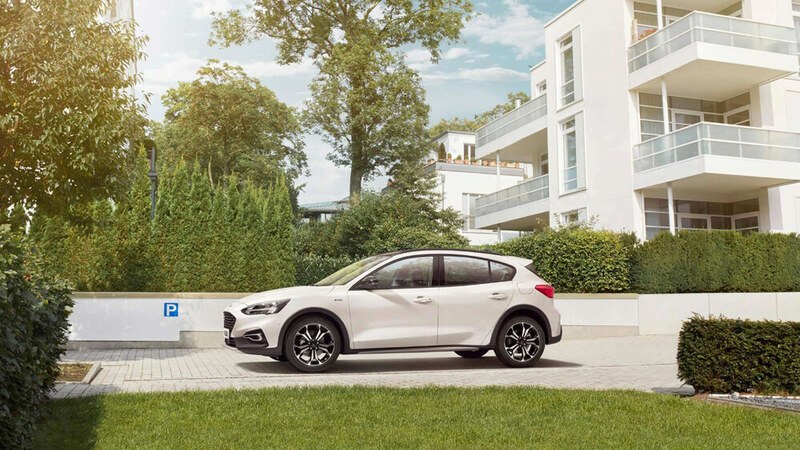 Will the fourth generation after two decades meet the challenge and will surprise new customers? 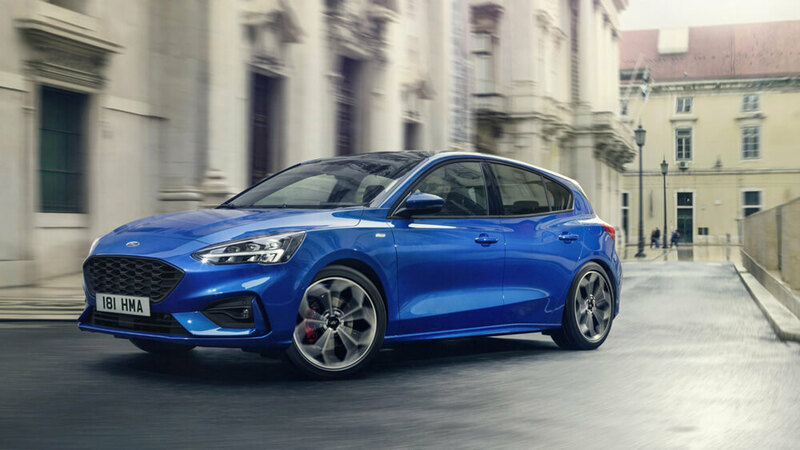 Last week, the Ford Motor Company published a video trailer for Ford Focus 2018, which debuted on April 10. 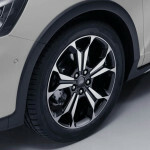 The movie reveals details such as headlights, wheels, badge and the rear of the vehicle. 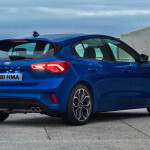 Entering the new C segment model, it will faces the Volkswagen Golf mk8, which will appear next year, Opel Astra, Renault Megane and new Hyundai i30. 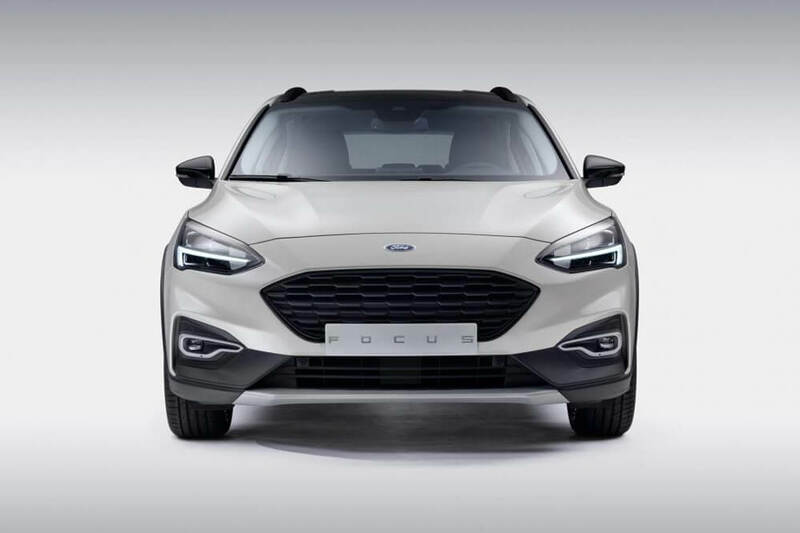 Foucs’ new look is a complete break with the past and departure from Focus mk3. 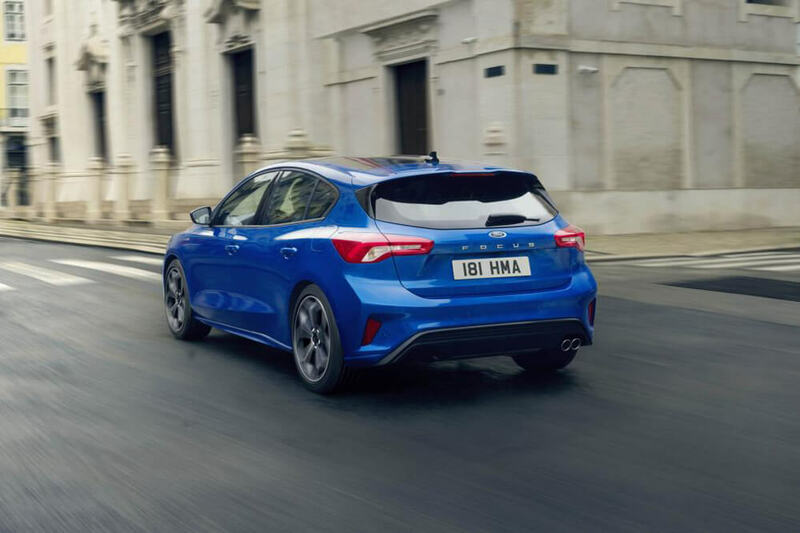 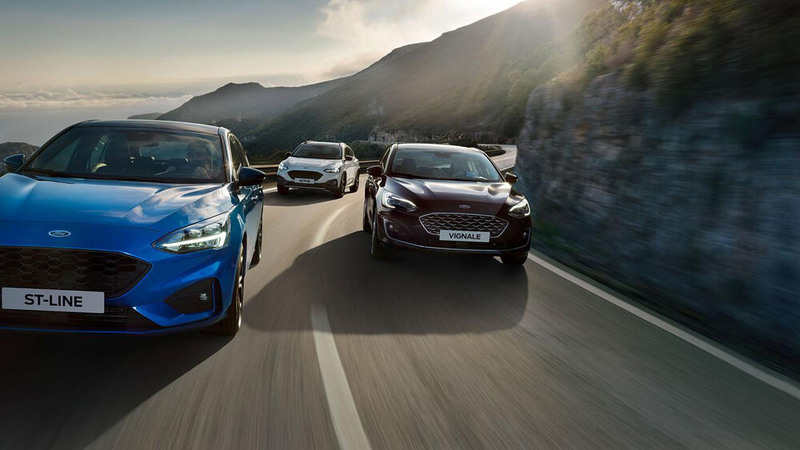 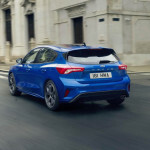 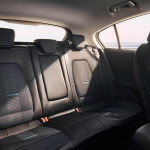 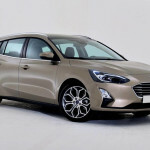 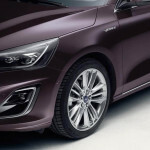 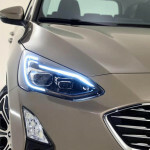 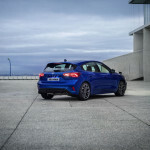 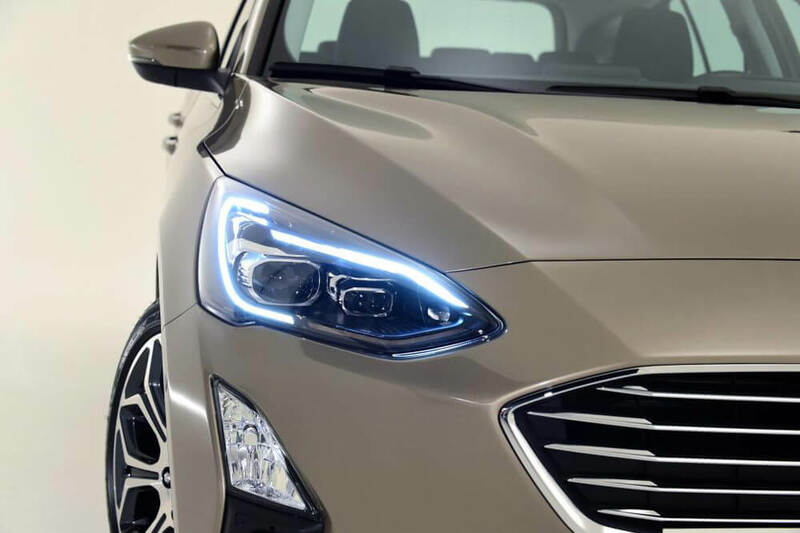 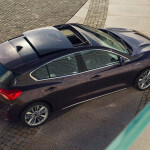 The new shape is to attract customers from the premium segment, although the car itself is not a copy of the Fiat Tipo, nor the mentioned Hyundai i30 or Mercedes A class. 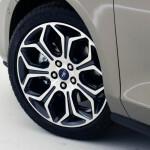 From the side it looks like the best premium car – BMW 1 Series. 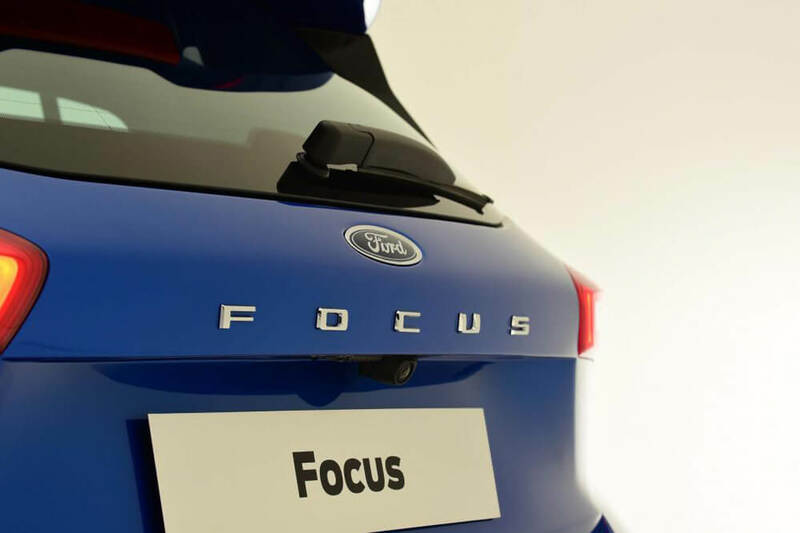 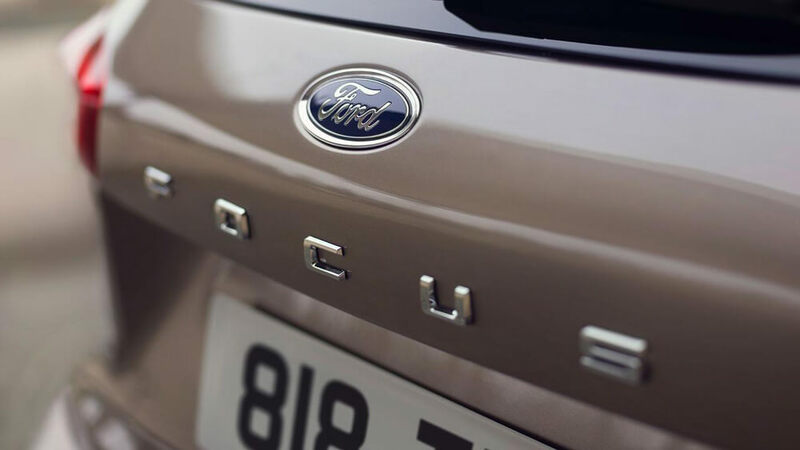 One of the most favorite hatchbacks in the UK was created for the 20th anniversary of the Focus model. 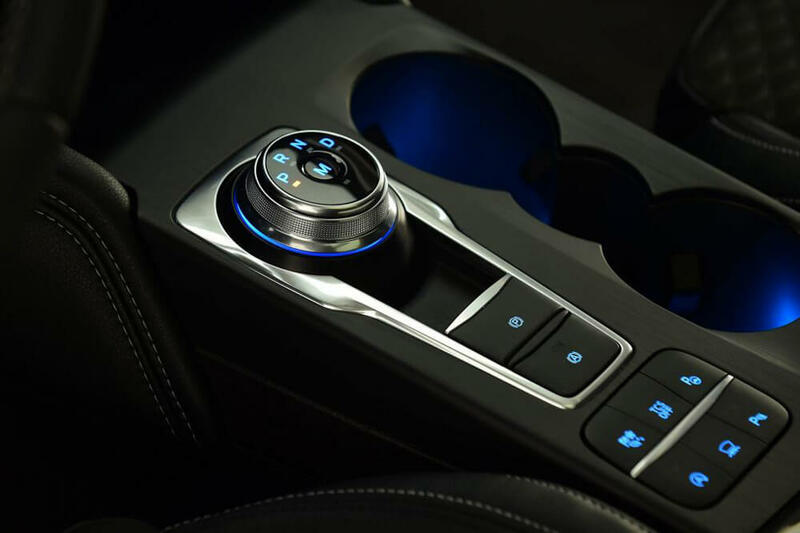 Everything has been designed correctly, at first glance does not impress, but it is definitely a great revolution and a step forward. 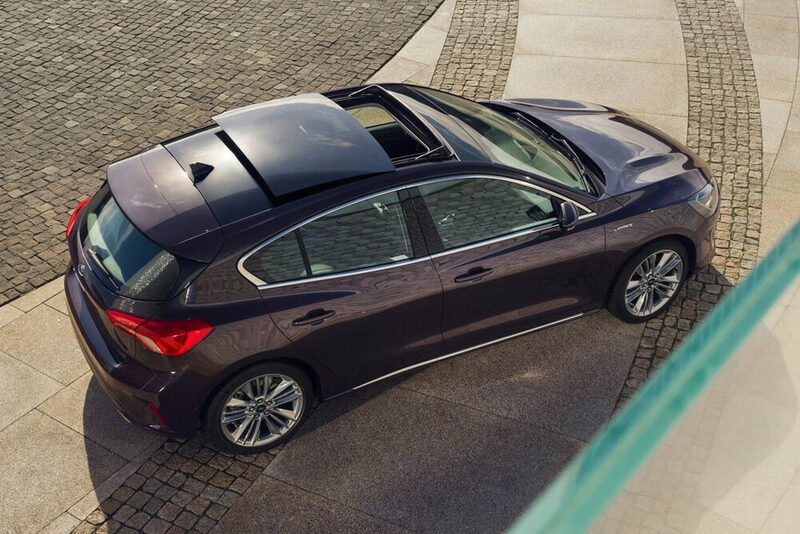 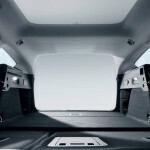 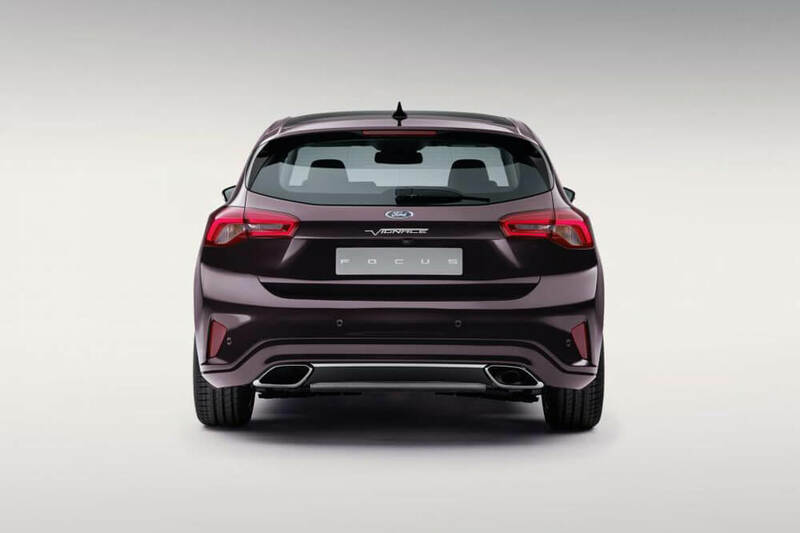 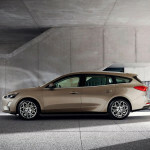 The rear part of the body is quite similar to the Volvo V40. 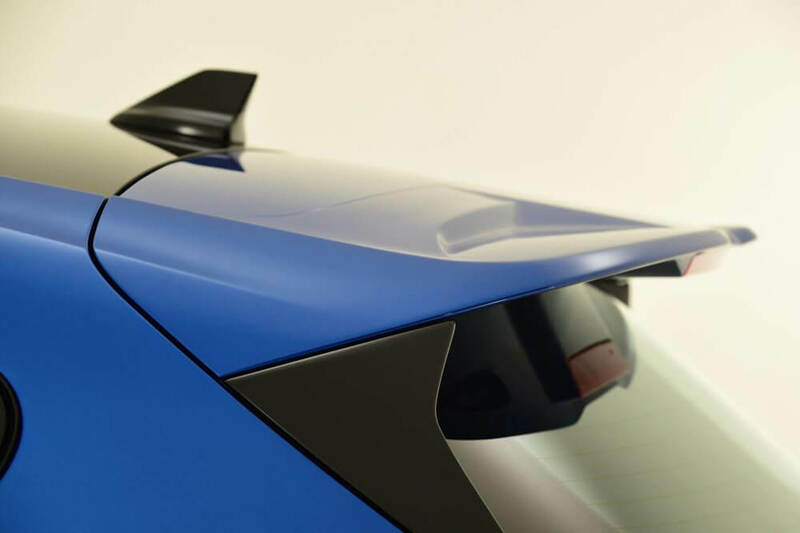 The new body line is not only trends, but also overcoming the resistance of aerodynamics. 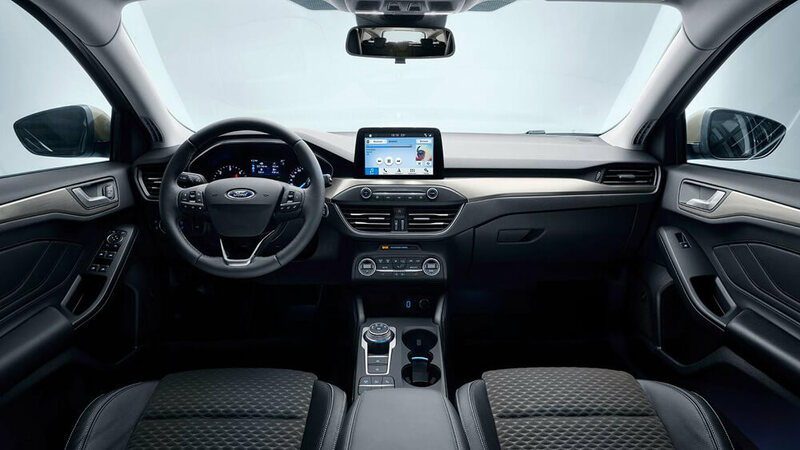 Inside we will find even more technology, and in the price list finishing options. 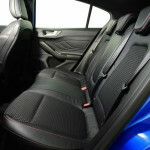 Price starts from £ 17,930. 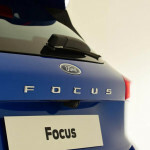 In the UK, the car will be available for sale before September and the first deliveries. 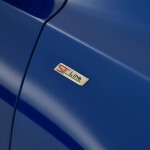 Style trim is not only these 4 that you’ve read a few paragraphs above. 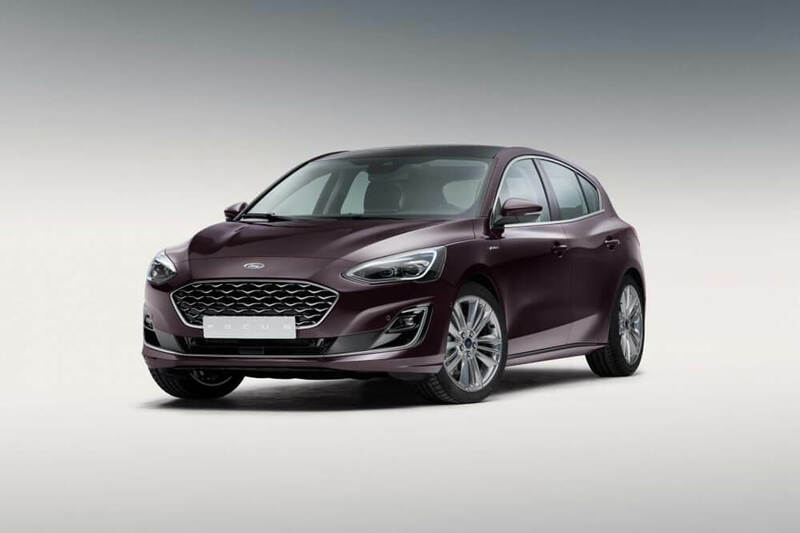 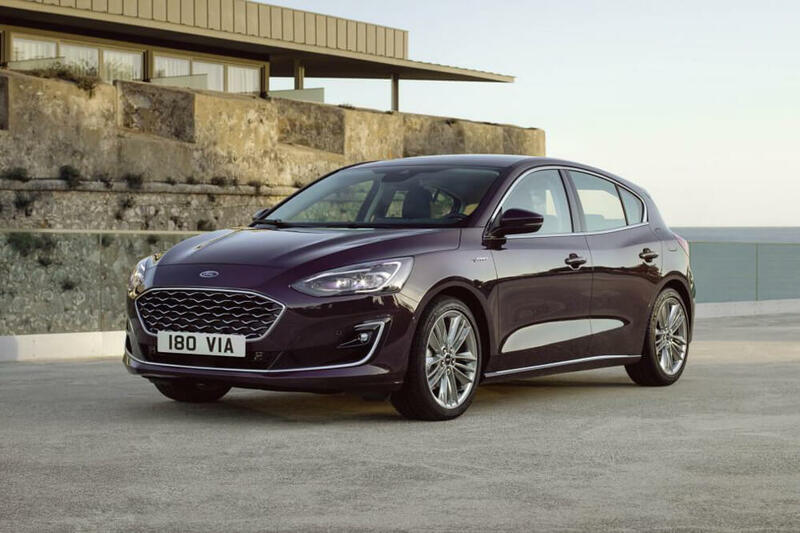 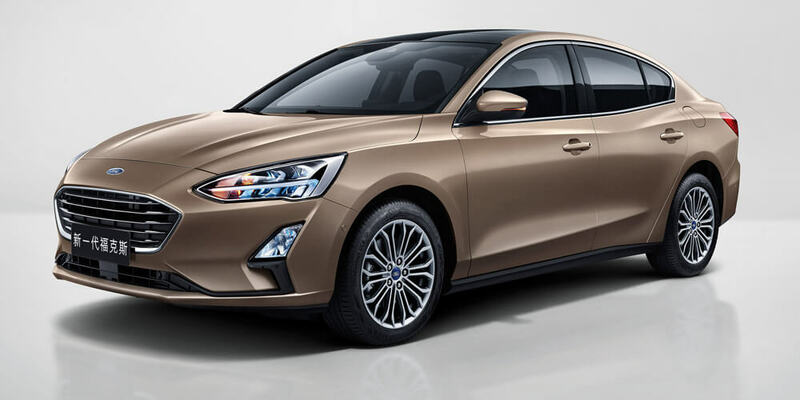 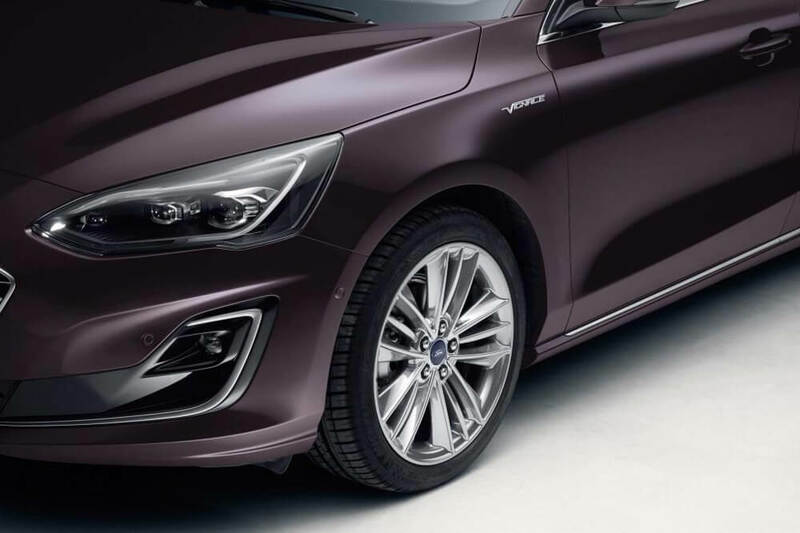 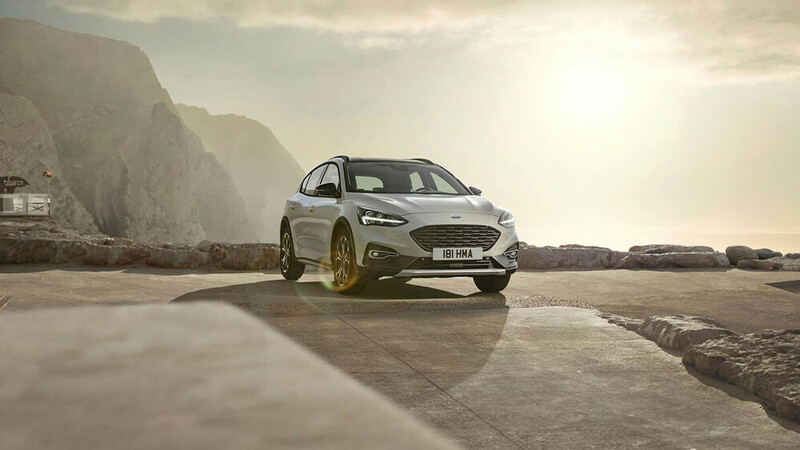 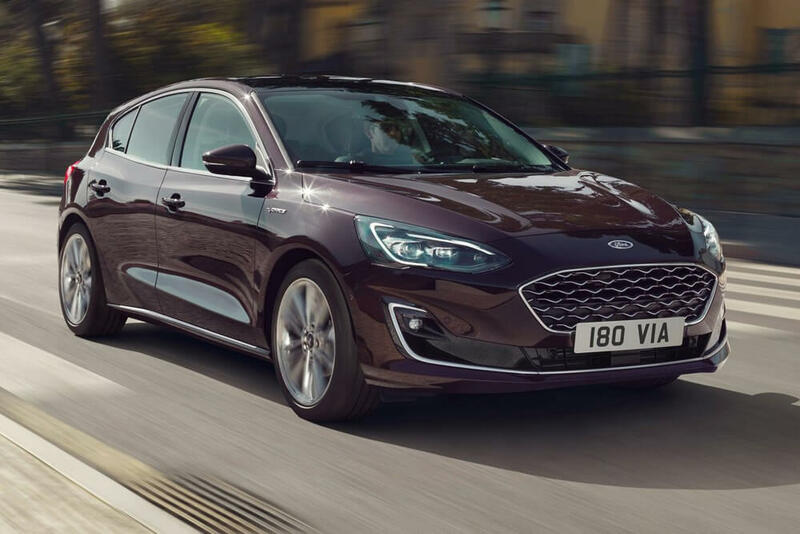 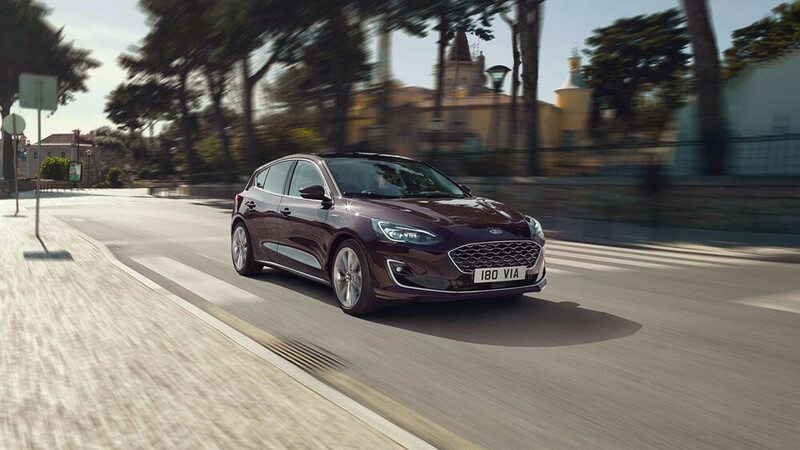 To reach a wider range Ford added 3 versions and create Active, Style, ST-Line, ST-Line X, Titanium, Titanium X and Vignale series. 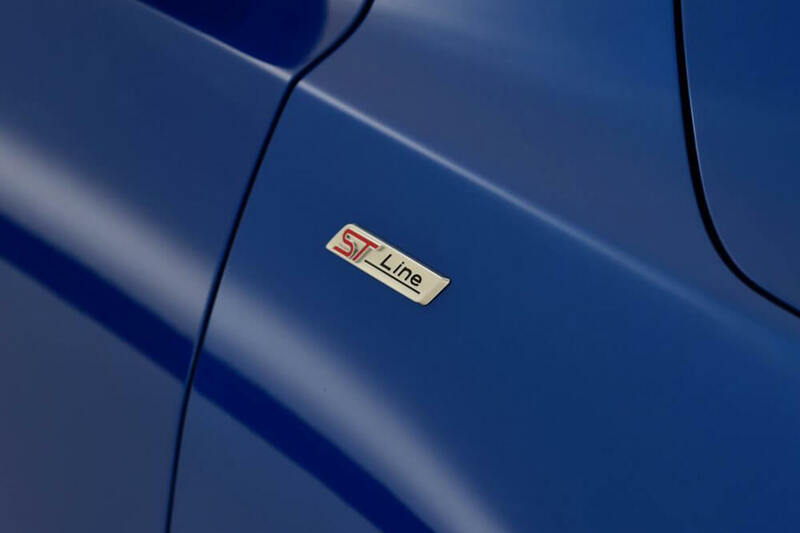 The lowest starting price for a basic model is £ 17 930, the ST-Line model with better equipment and a different look will cost £ 21 570. 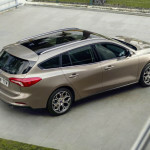 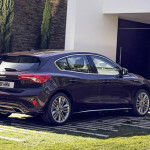 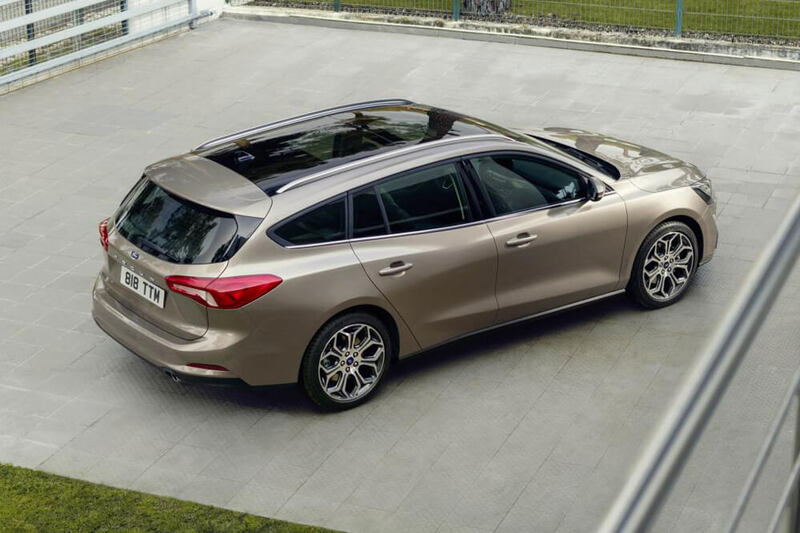 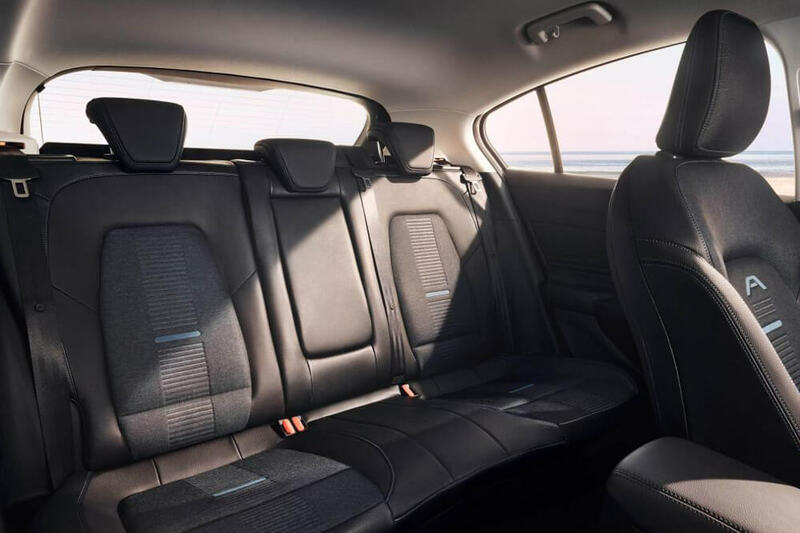 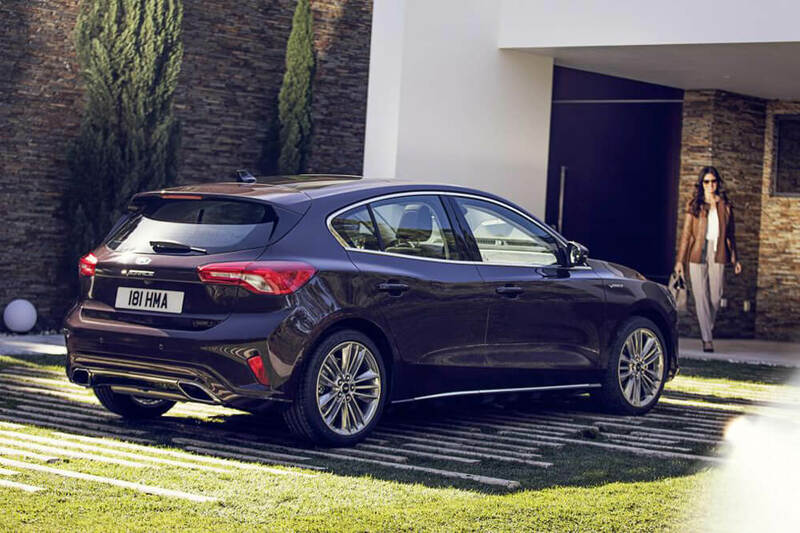 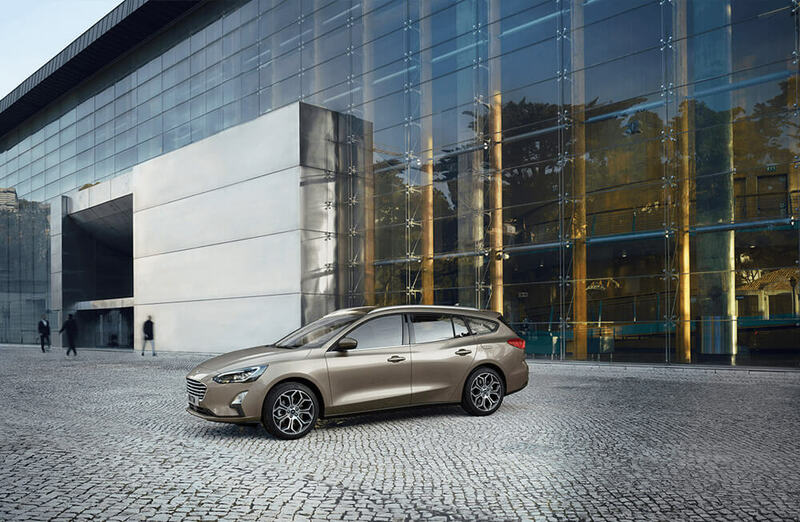 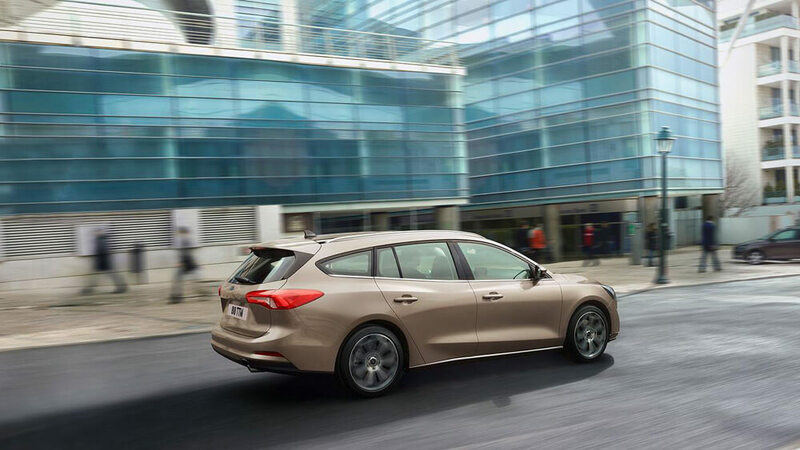 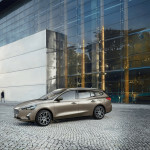 However, in the most luxurious model with the Vignale option, prices start from £ 25,450. 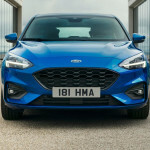 The full table can be found at the bottom of the article. 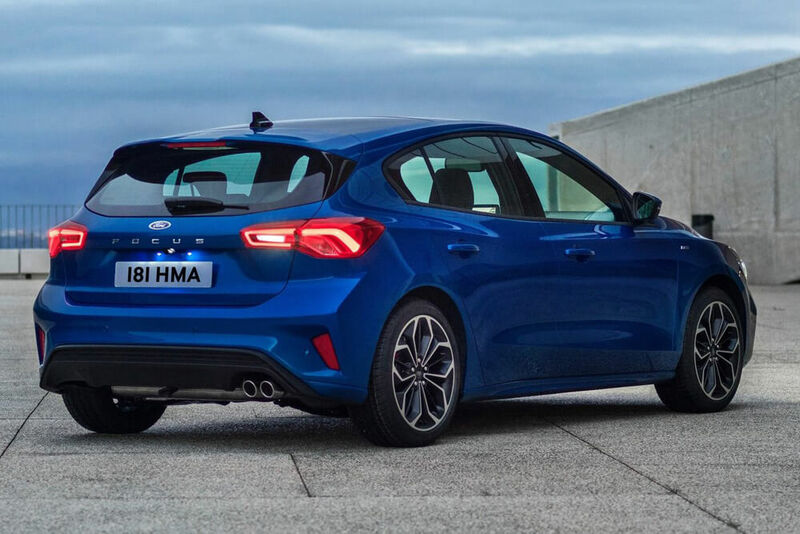 We have sad information for fans of the three-door version. 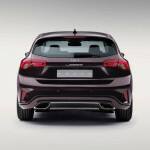 As in the previous model, this car will be available in only 5 door versions. 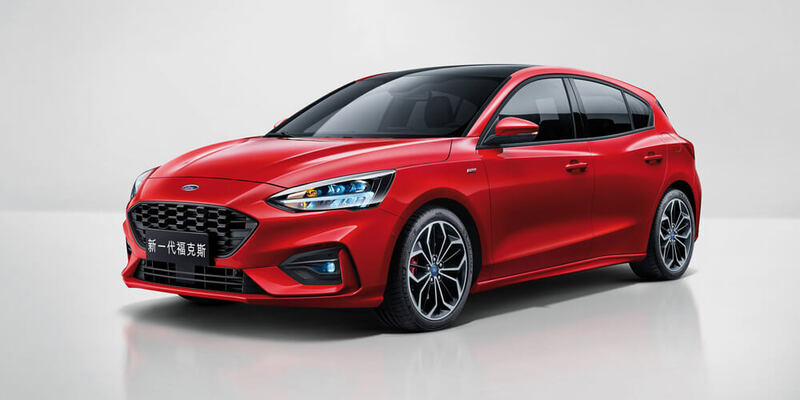 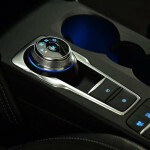 The Sedan version will be prepared only for the American and Chinese market. 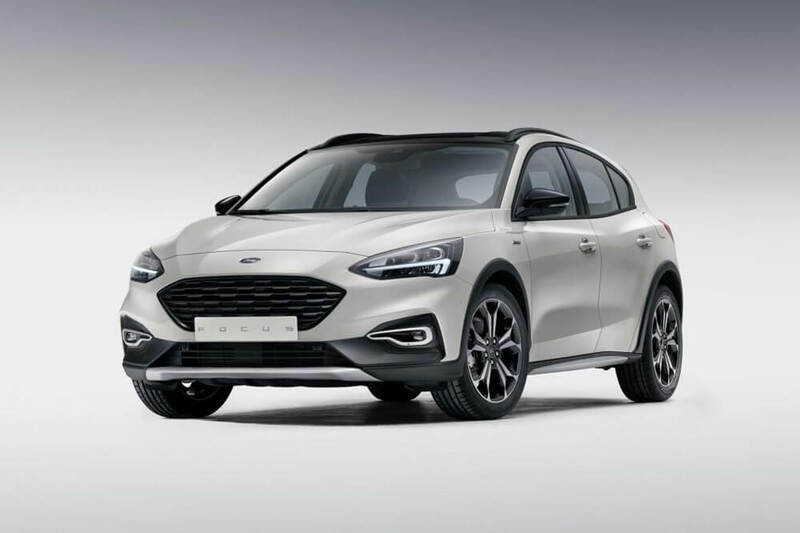 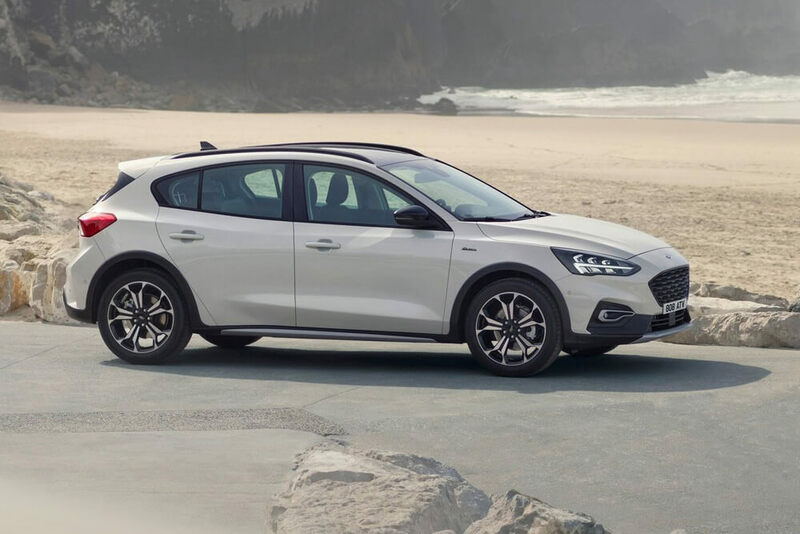 The Ford Focus Mk4 2018 was designed completely from scratch. 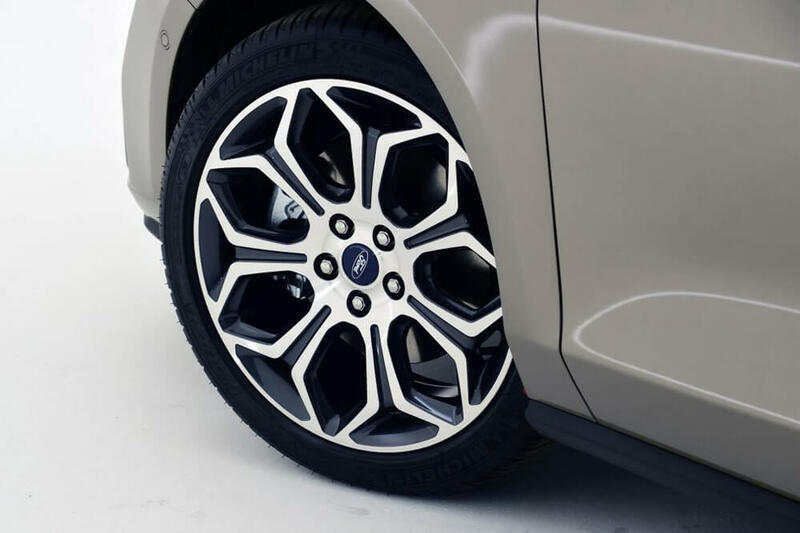 Wheelbase has been increased by 53 mm. 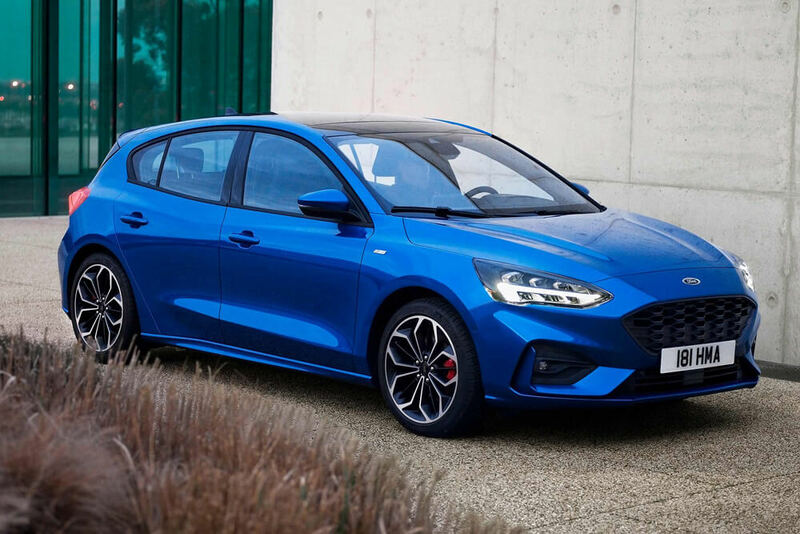 Thanks to that, there is an additional 50 mm on the legs in front of the passengers’ knees in comparison to the Ford Focus Mk3. 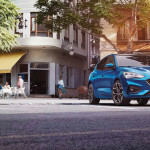 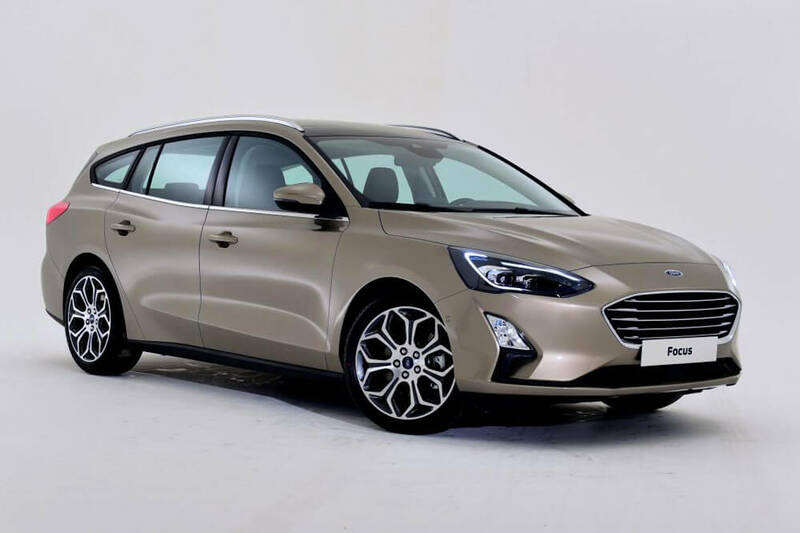 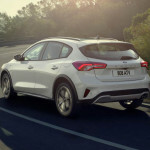 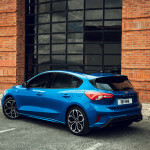 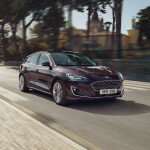 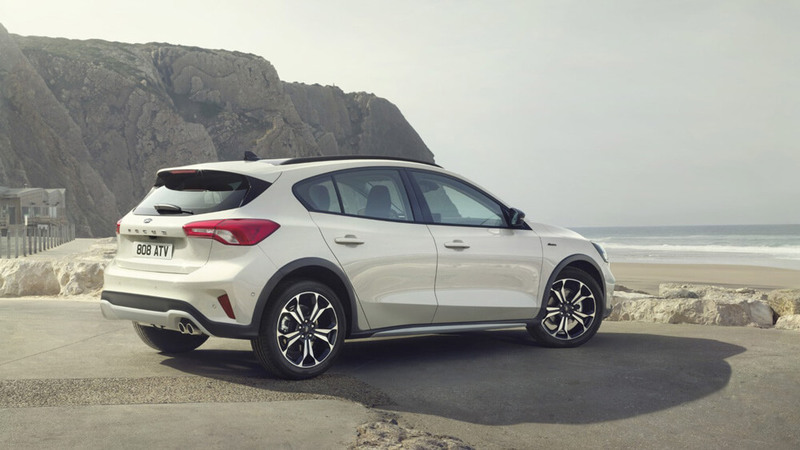 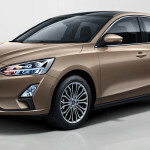 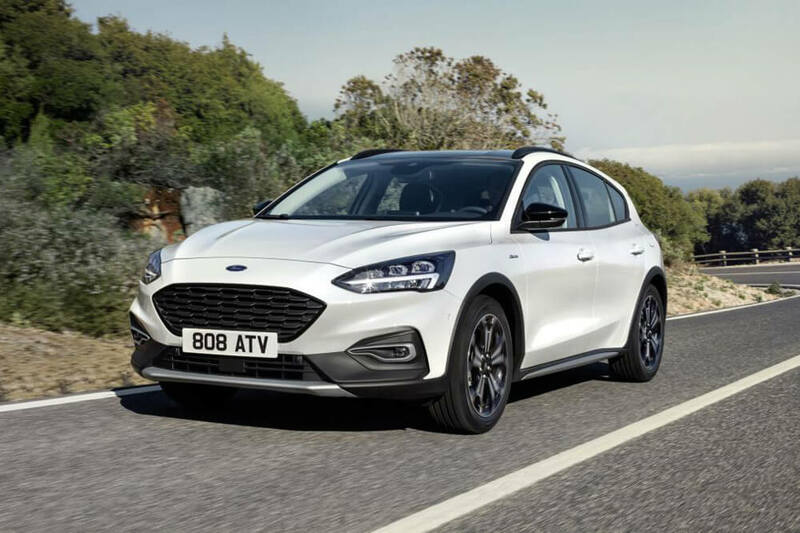 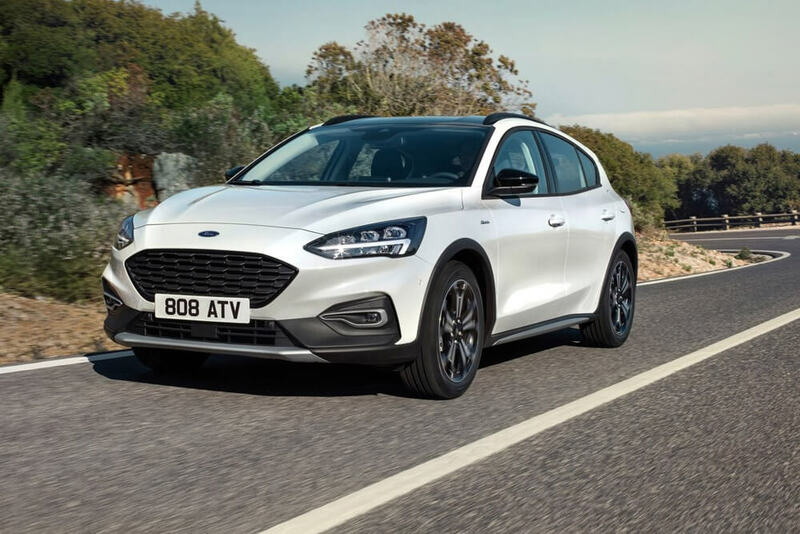 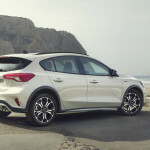 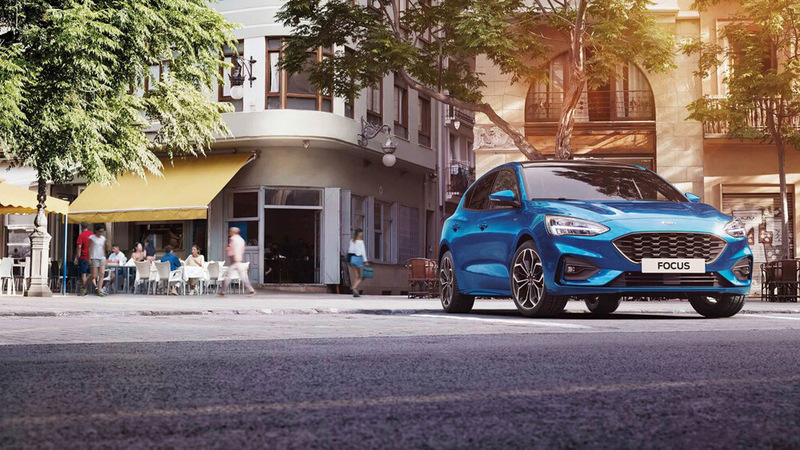 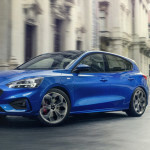 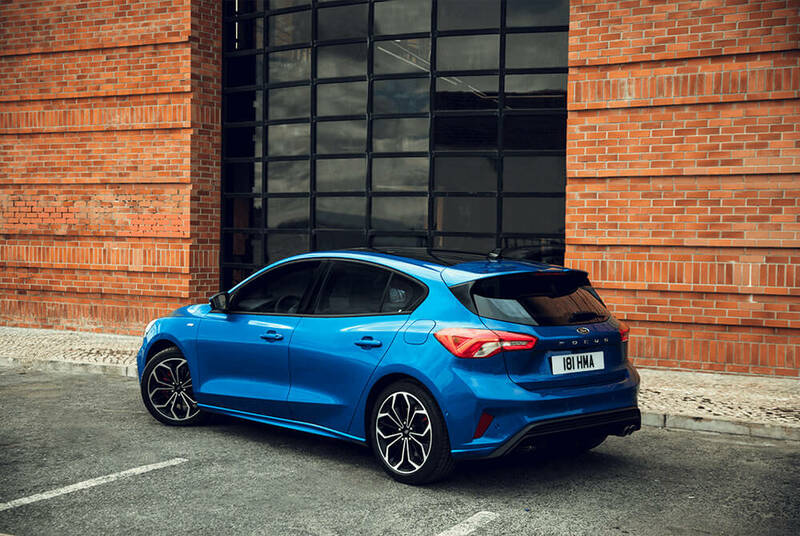 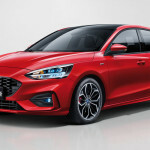 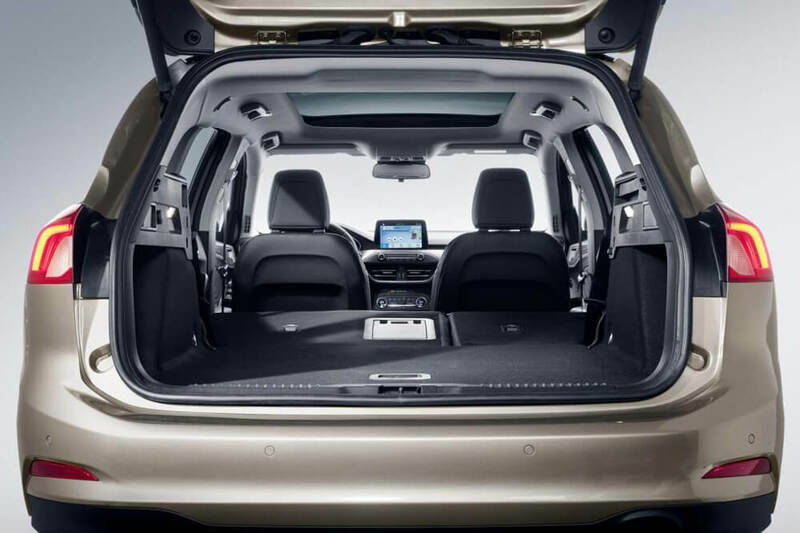 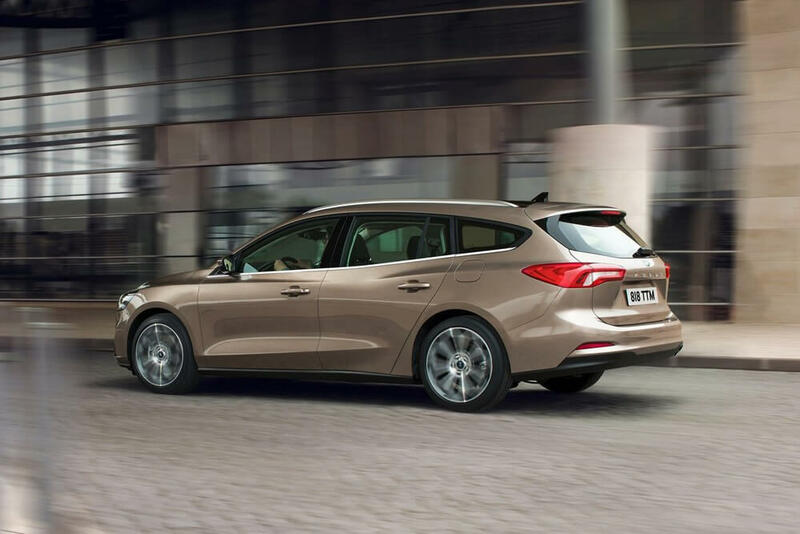 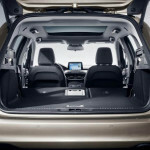 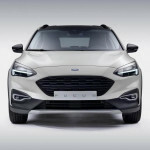 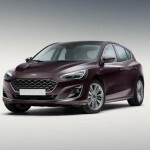 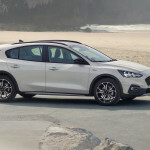 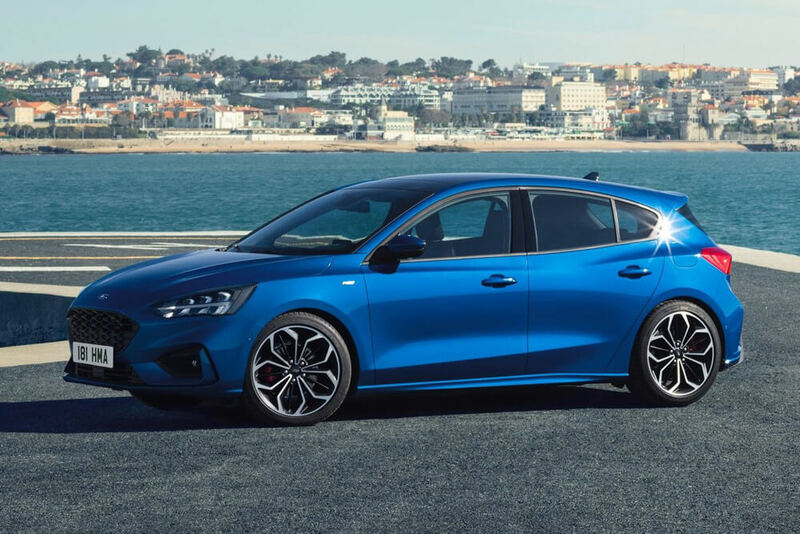 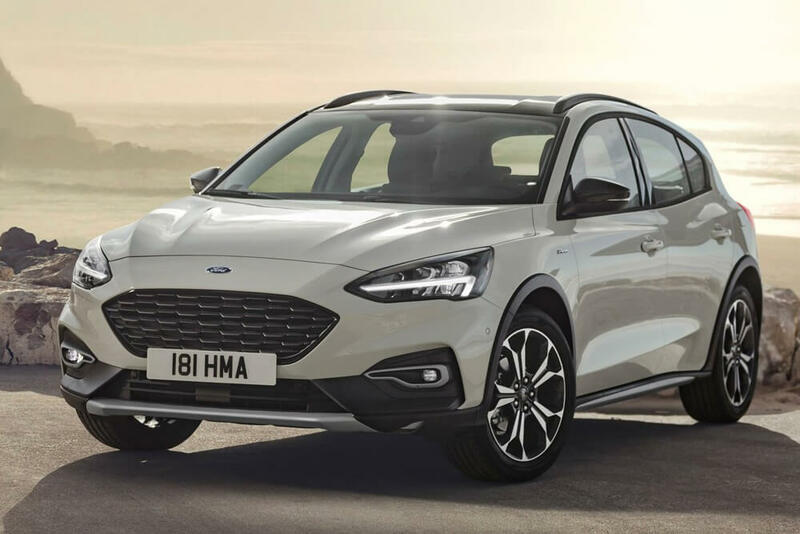 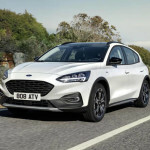 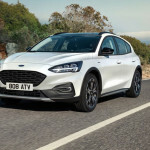 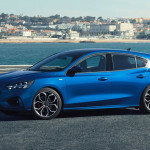 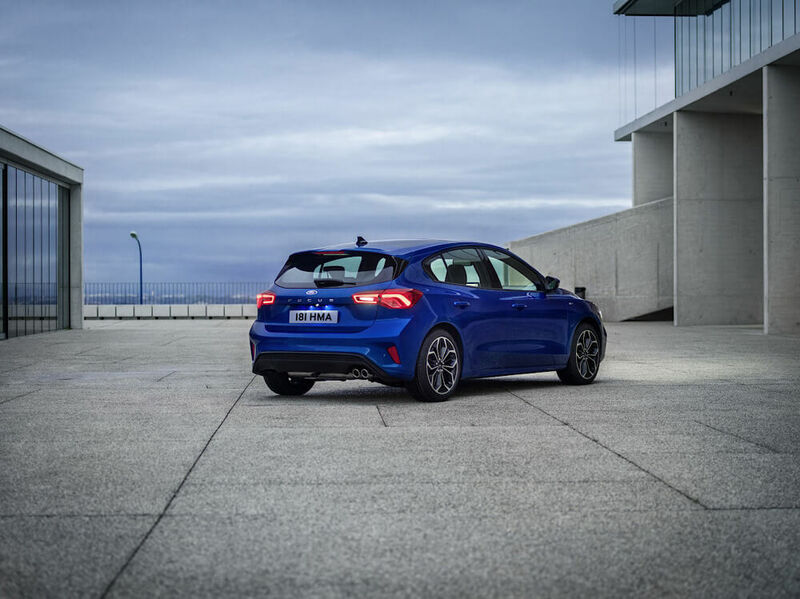 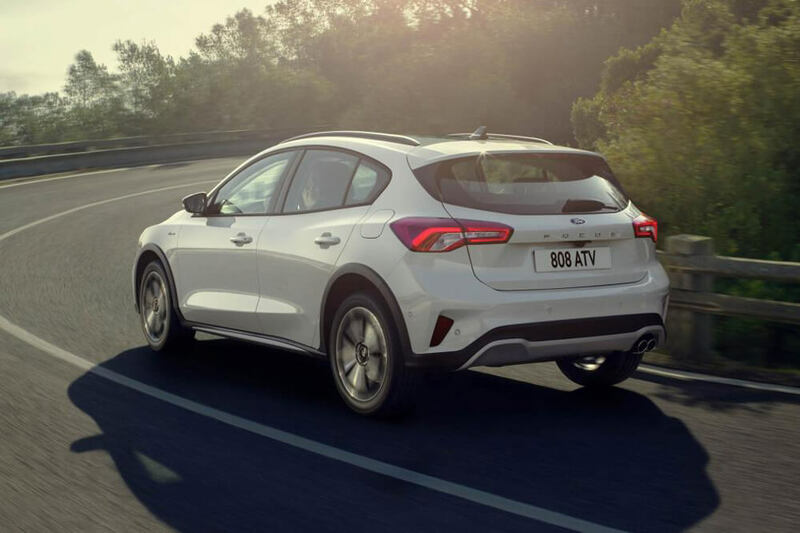 Active – Hatchback with the intention of an SUV – This is Ford’s first such a courageous step and an attempt to compete with Volksvagen Golf Cross. 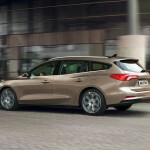 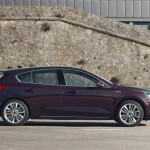 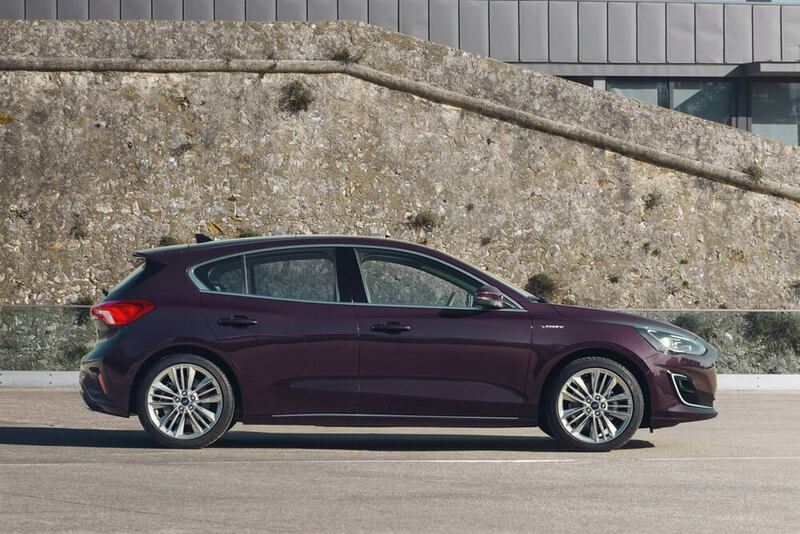 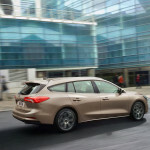 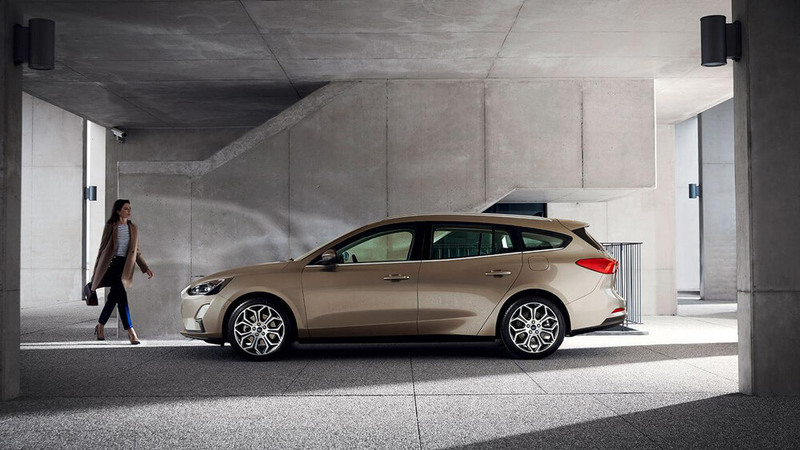 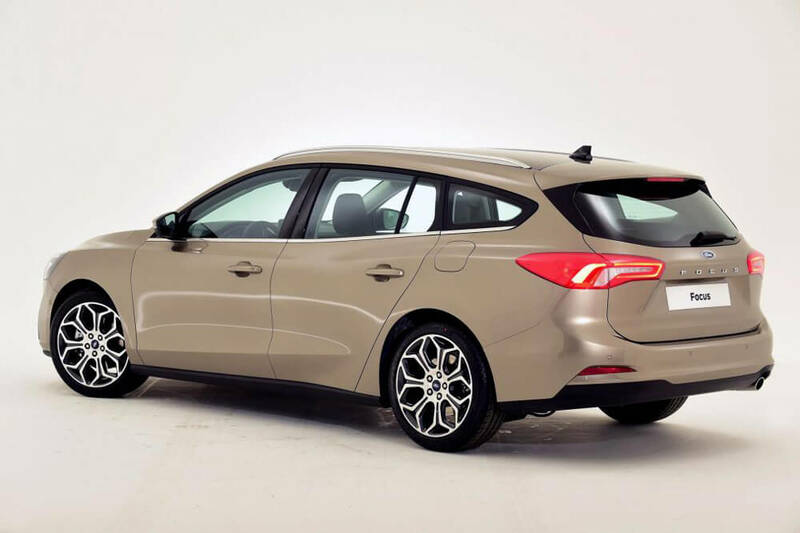 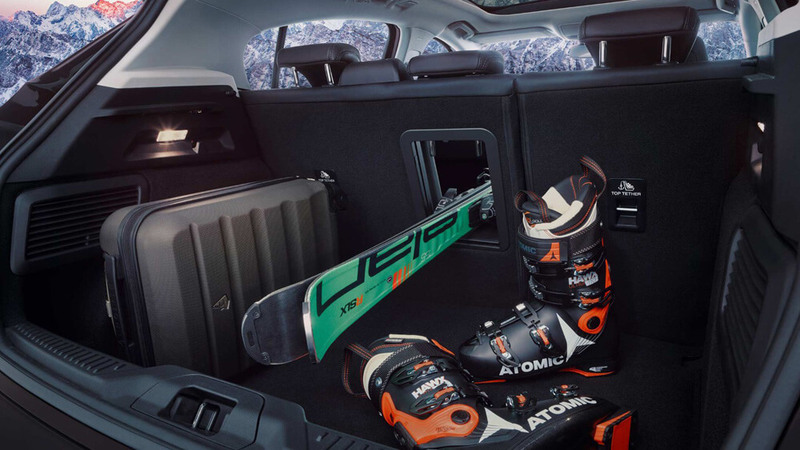 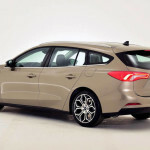 At first glance, the Ford Focus Active seems to be higher. 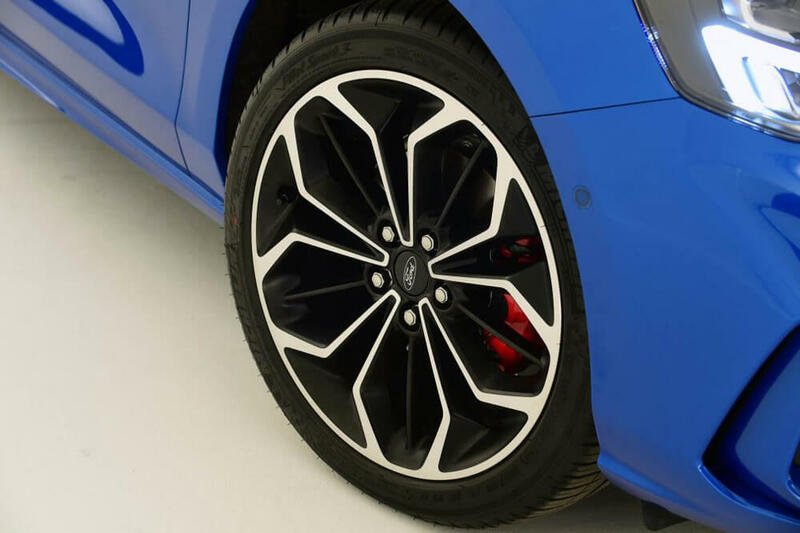 It is due to the suspension raised by 30 mm, additional protective elements of the wheel arches, the plate protecting the engine and chassis. 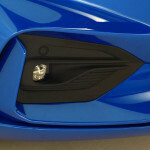 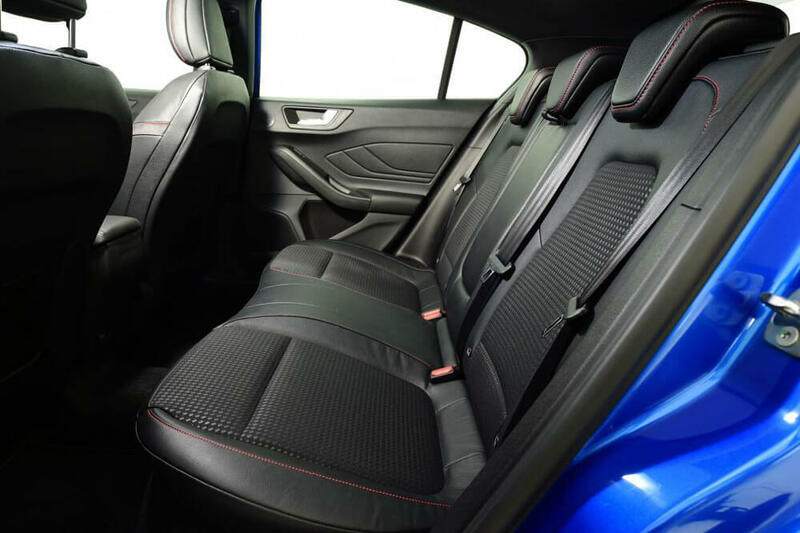 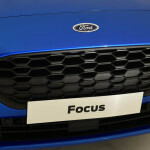 Focus ST-Line – its hallmark is the chassis reduced by 10 mm and sporty characteristics, ie bumpers, spoiler, diffuser. 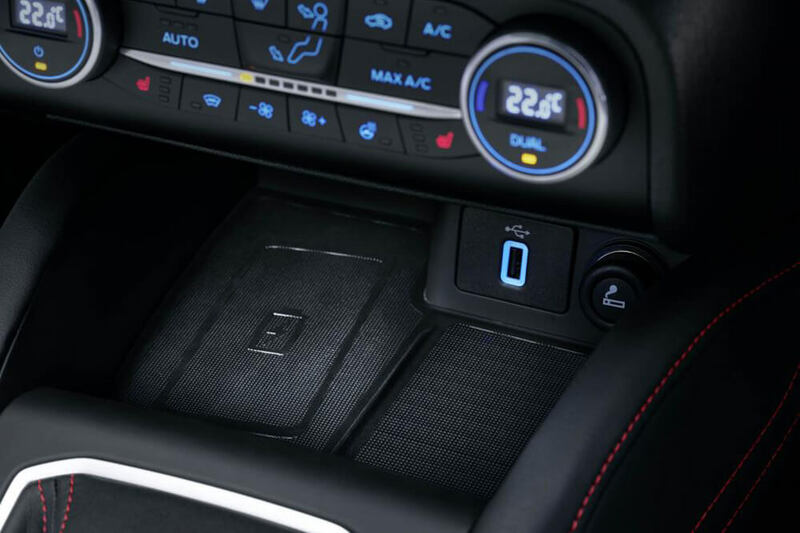 The new dashboard has been put in order, deprived of unnecessary buttons and made of nice to the touch materials. 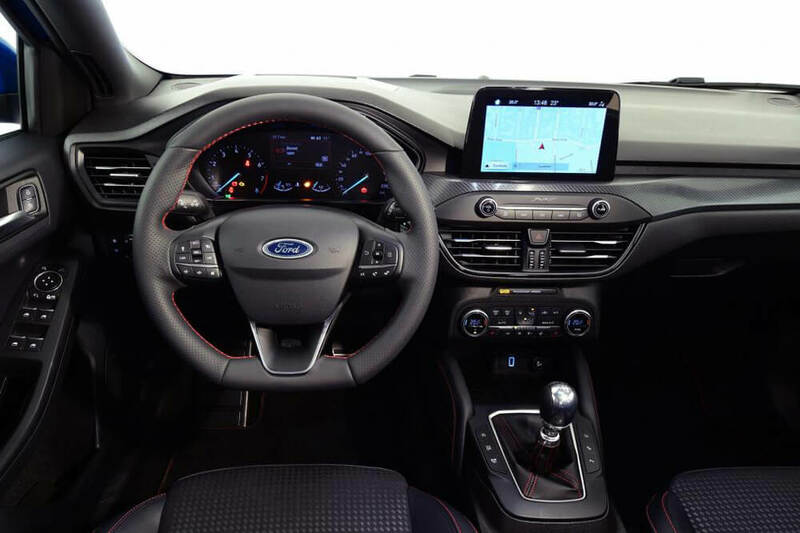 In the middle of the cockpit we can find an 8-inch touch panel with the latest SYNC 3 system with Apple CarPlay, Android Auto and Bluetooth connectivity. 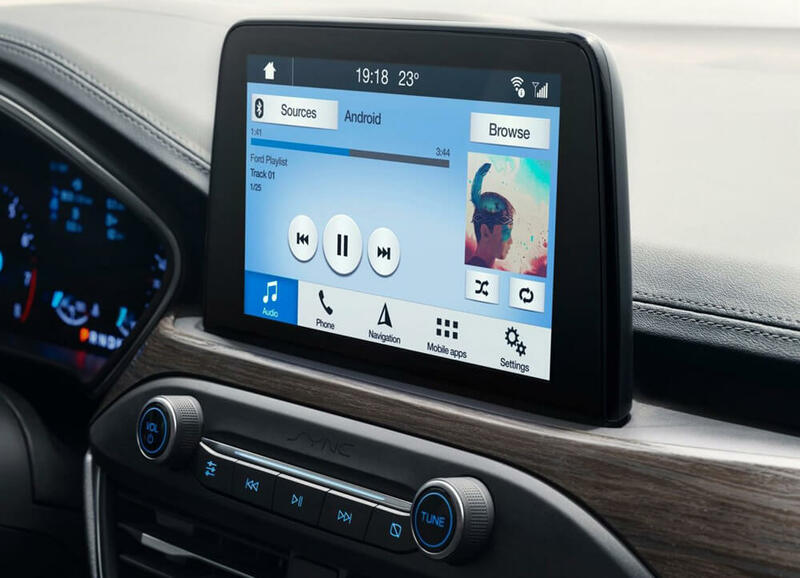 As the option you can also buy 675 Watt sound system from B&O Play. 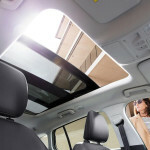 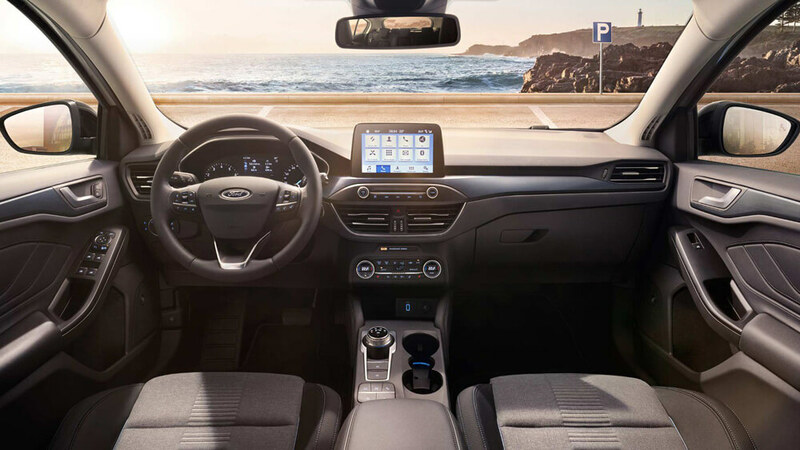 In the interior, convenience for those who can not stand the cables – wireless charging for smartphones. 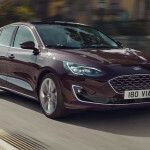 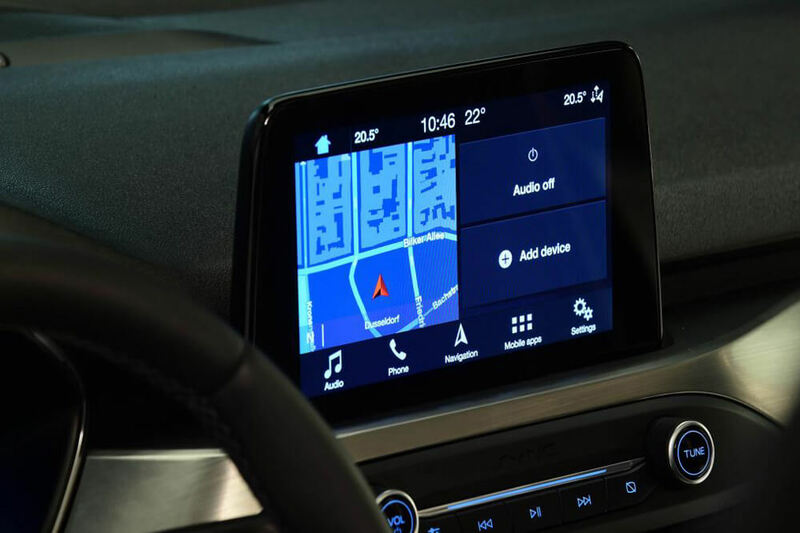 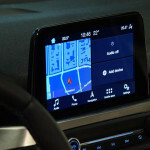 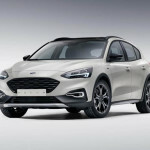 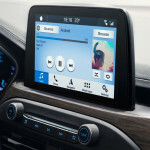 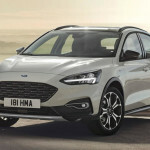 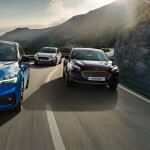 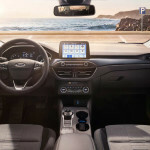 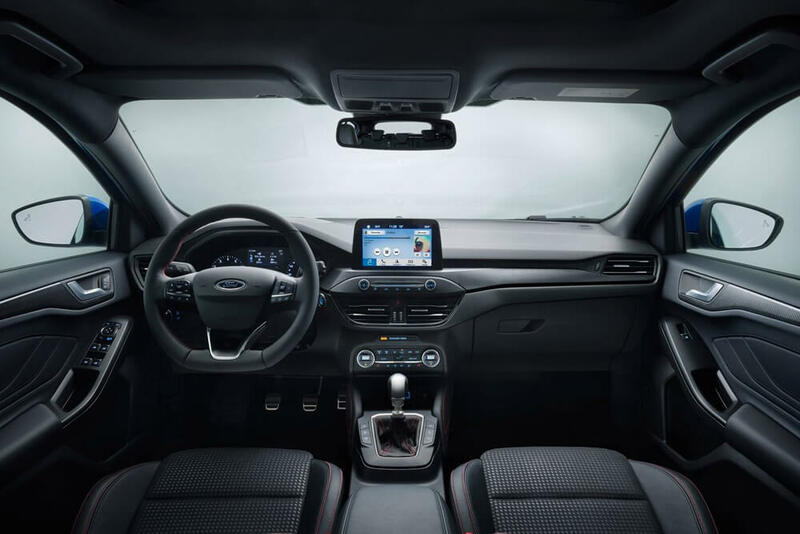 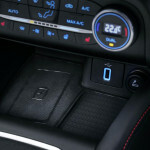 Another new feature is the introduction of the FordPass Connect system, which includes a WiFi hotspot for 10 devices and updating of navigation maps. 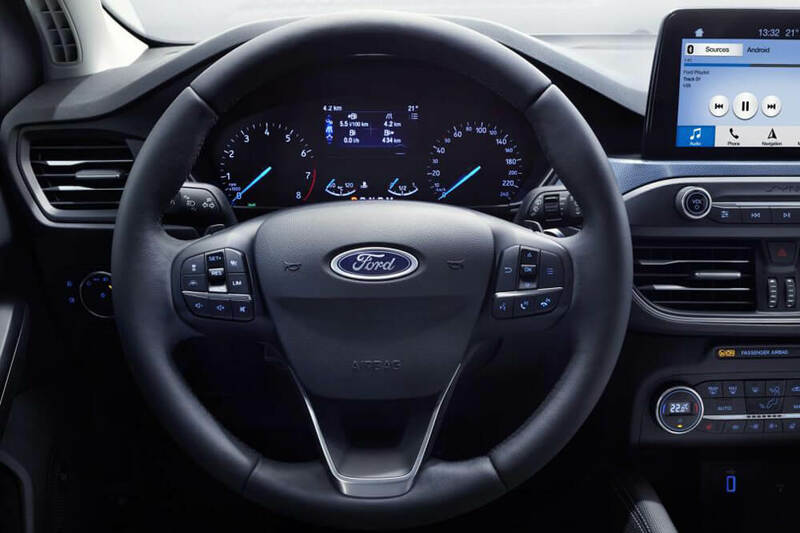 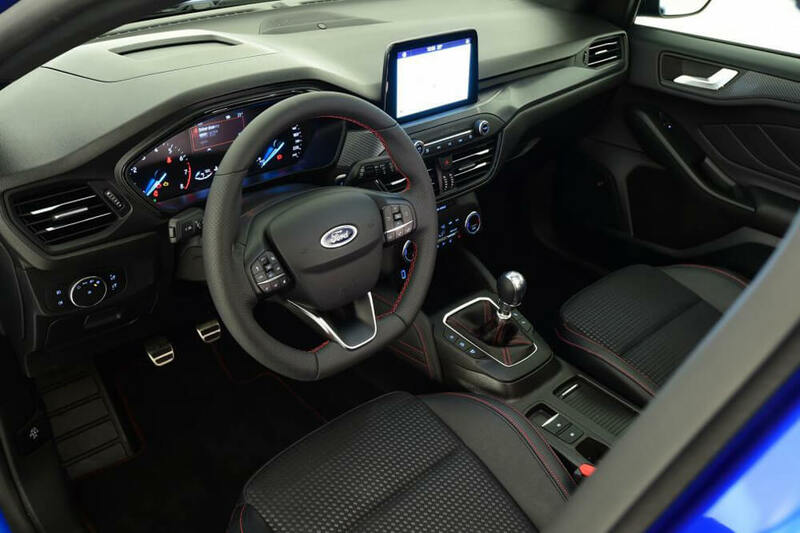 It is enough to install on your smartphone FordPass application, which will allow the owner to locate, lock and unlock the vehicle remotely, also cars equipped with a new, automatic 8-speed gearbox can be remotely launch. 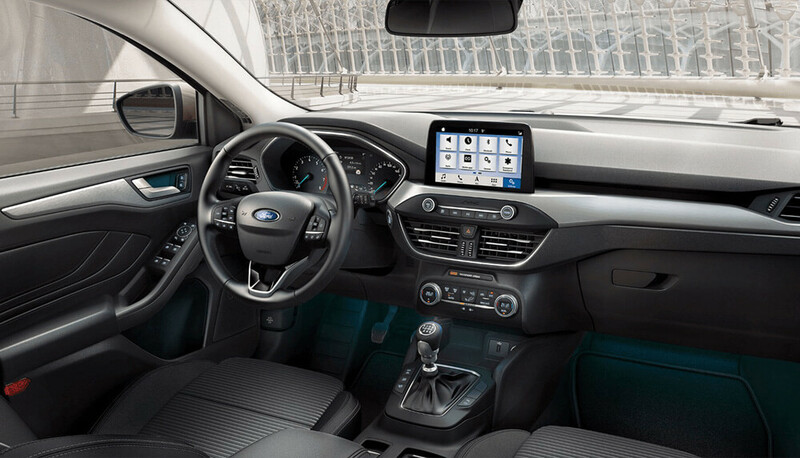 Checking the status of the vehicle will be child’s play, by logging into the application you will check a fuel level, alarm status, mileage and many other parameters. 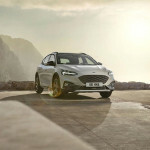 As Ford assures, the car was designed on the new C2 platform, which allowed to reduce the weight by 80 kg, and were used the best suspension solutions. 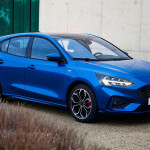 Introduction to the Force Vectoring system (known from the Ford Fiesta ST) allowed to stiffen it by 20%, and the damping control system effectively increase the ride comfort by monitoring the body and steering. 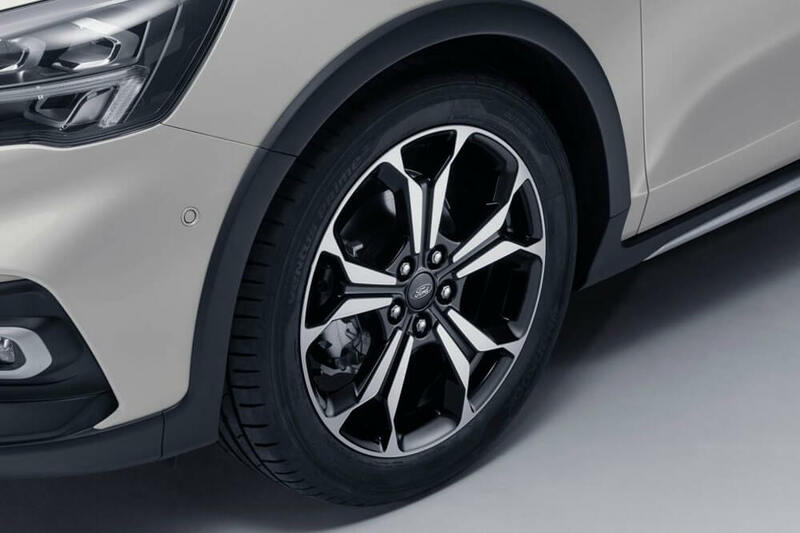 Vehicles equipped with an SLA system (with additional sleeves) will receive adaptive shock absorbers. 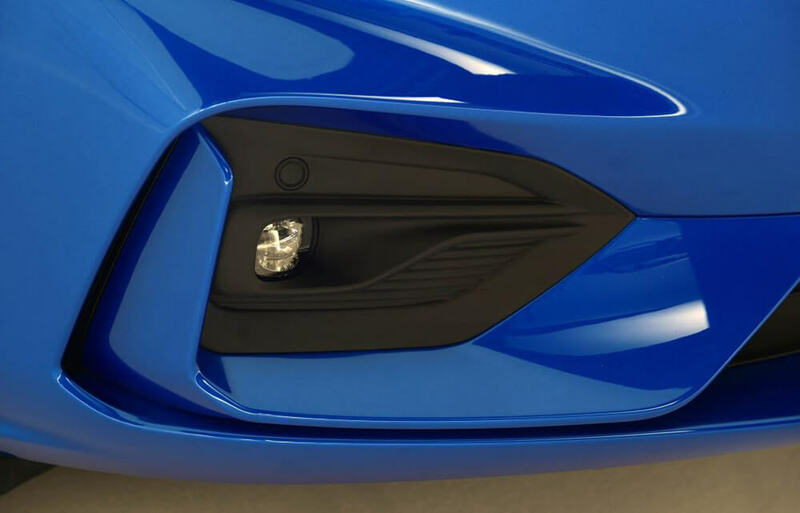 In models with the lowest power, a torsion beam installed also in eg Seat Leon has been used. 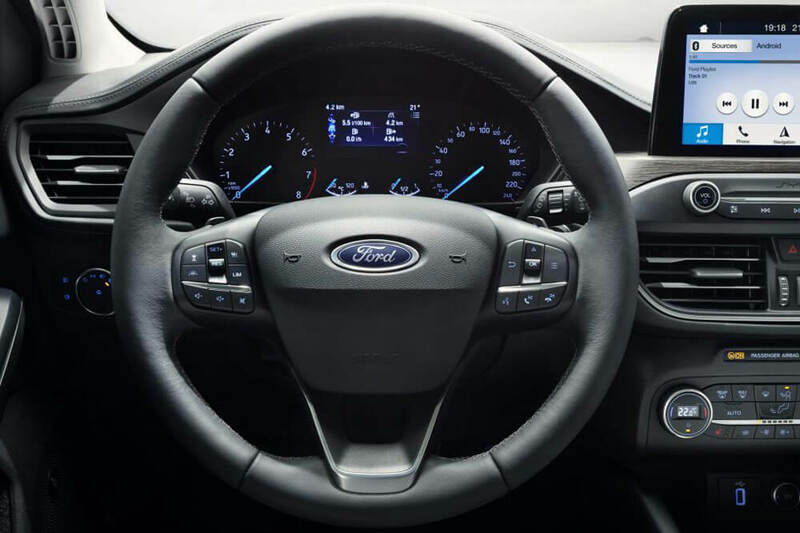 Active Cruise Control with speed limit Sign Recognition function, Lane-Centring system. 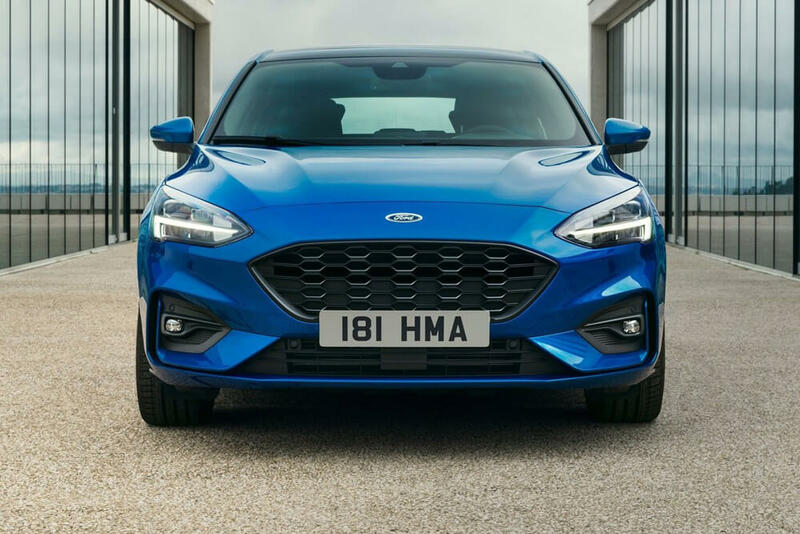 This will allow you to keep a safe distance from other cars, keep the car in the middle of the road, and ACC can independently stop Ford. 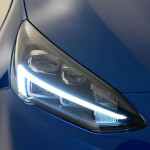 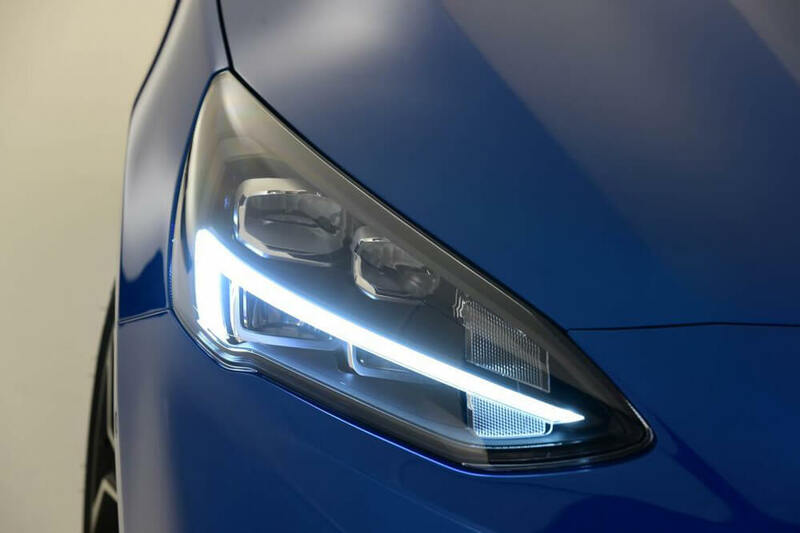 Fully LED headlamps with matrix function – The system equipped with adaptive headlamps is supposed to anticipate the path and properly illuminate the curves before they start. 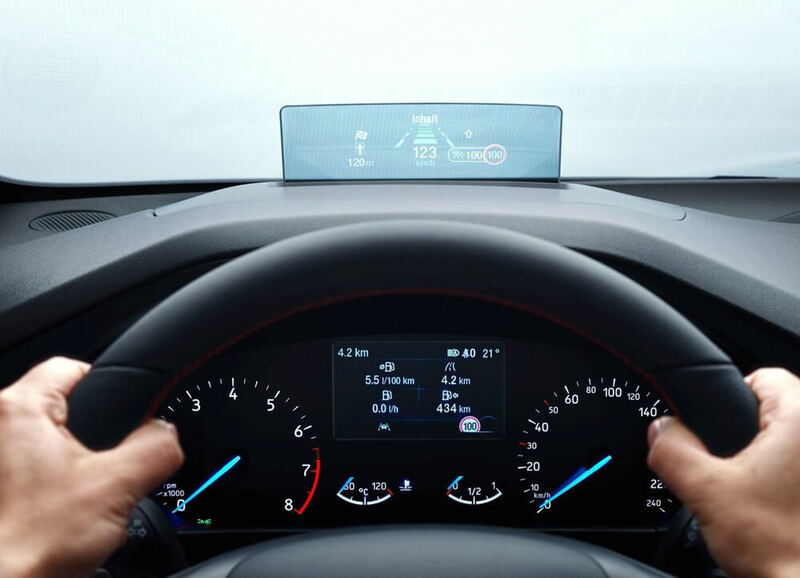 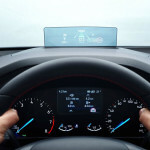 HUD (Head Up Display) system, known mainly from BMW models, it allows to read information such as speed, road sign warnings and navigation. 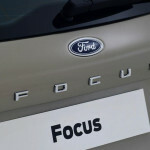 According to Ford, it is the only system prepared for drivers using polarized sunglasses. 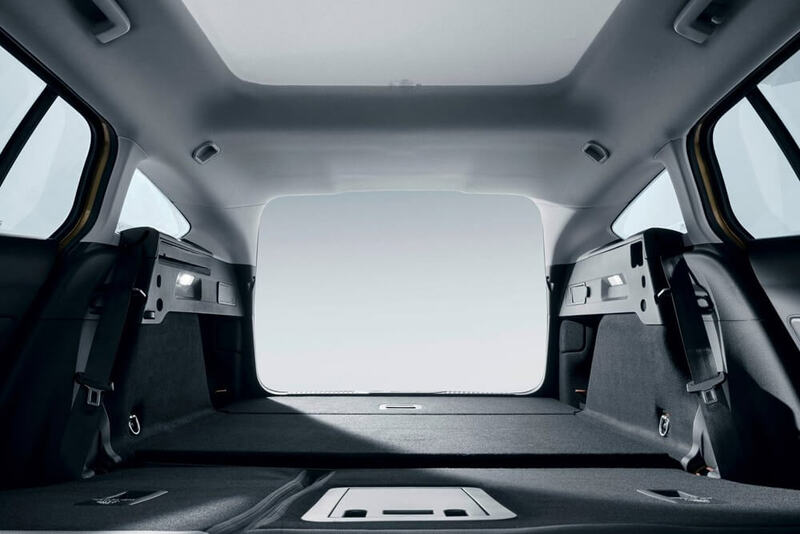 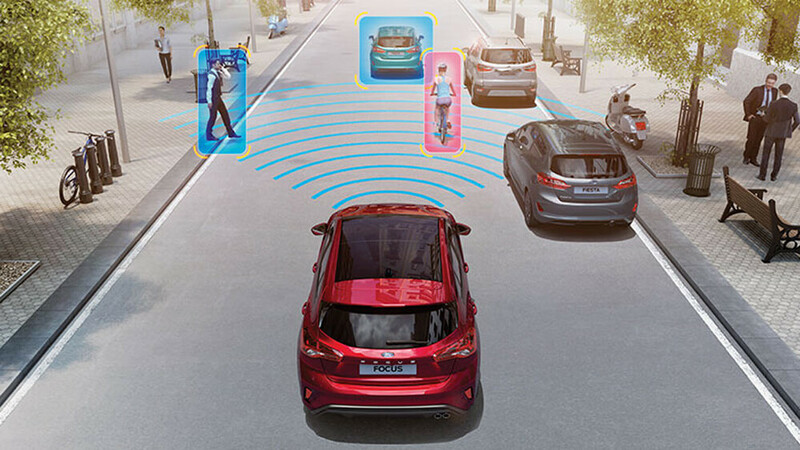 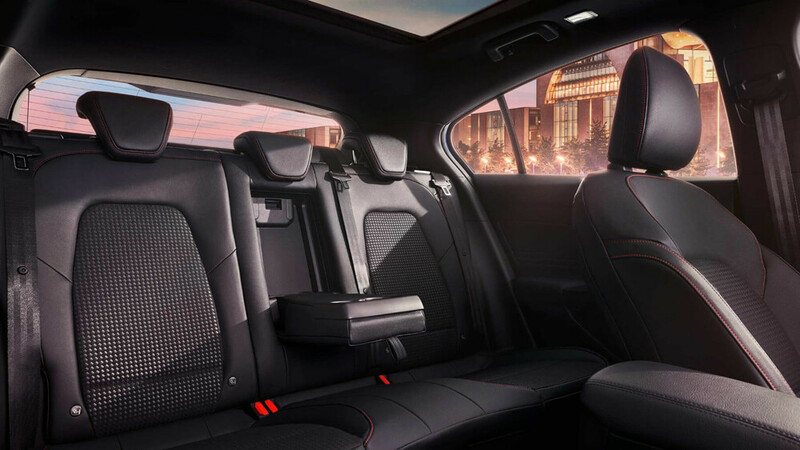 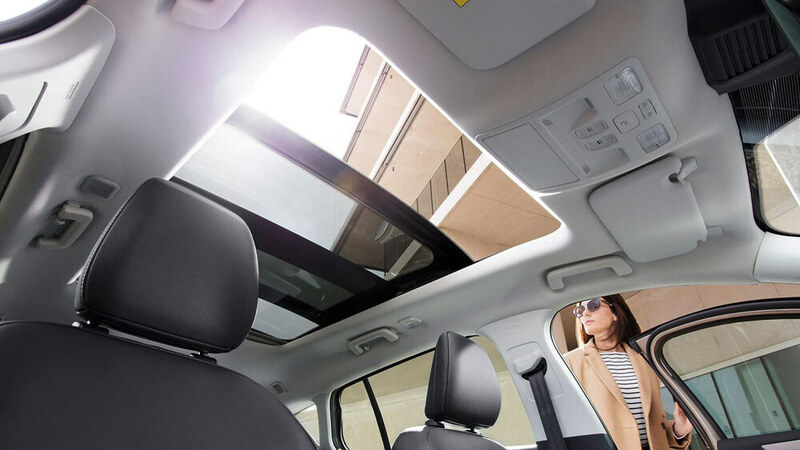 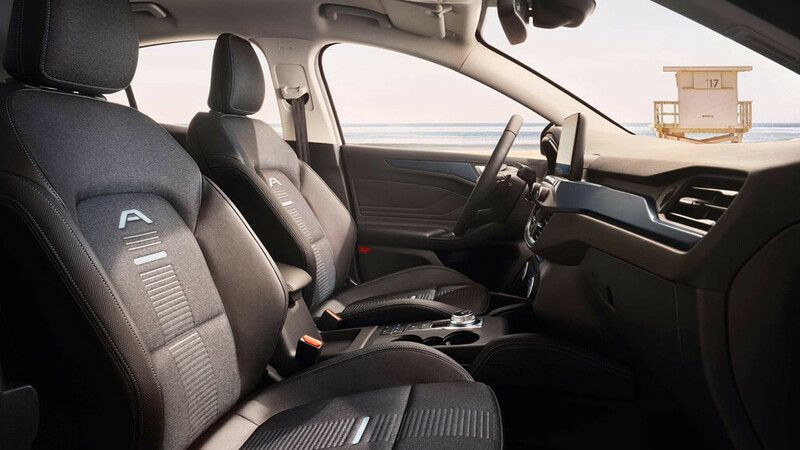 The package also includes an Active Park Assist system, Pre-Collision Assist with pedestrian and cyclist detection, a Cross Traffic Alerts and inflatable seatbelts. 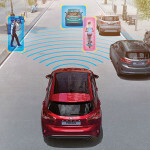 These solutions make the car an almost autonomous vehicle like from Science Fiction movies. 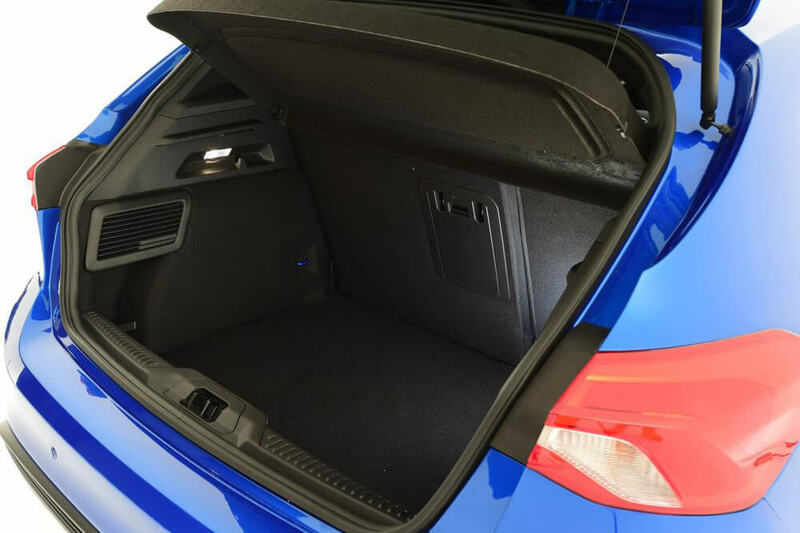 What will we find under the hood of the hatchback? 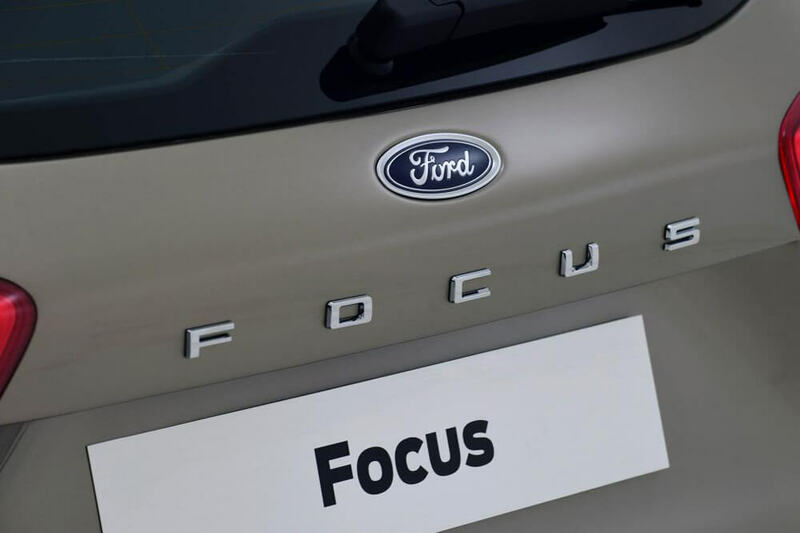 Ford offers gasoline and Diesel diesel engines as standard. 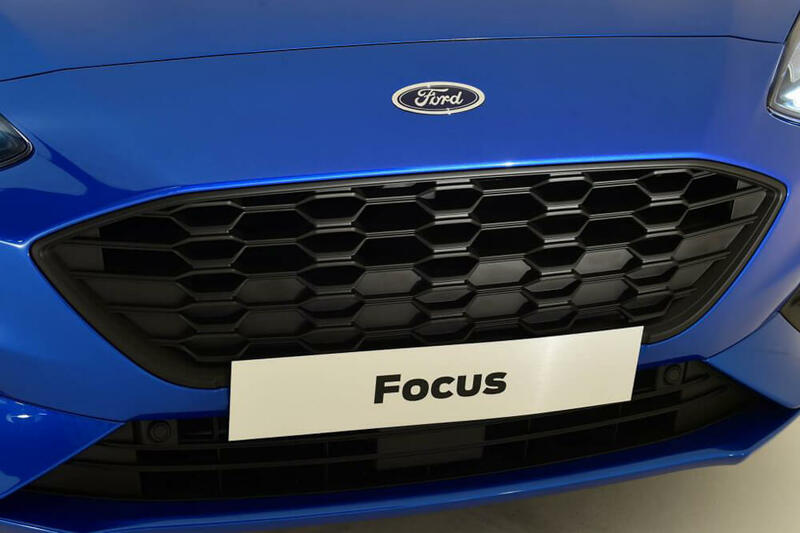 The names of the engines are already well known to all of us, but these are completely new constructions. 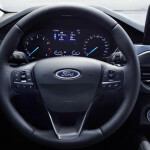 In addition, all of them have already been equipped with a Start / Stop system. 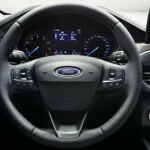 Also are available three driving modes known from ST models (Normal, Sport and Eco). 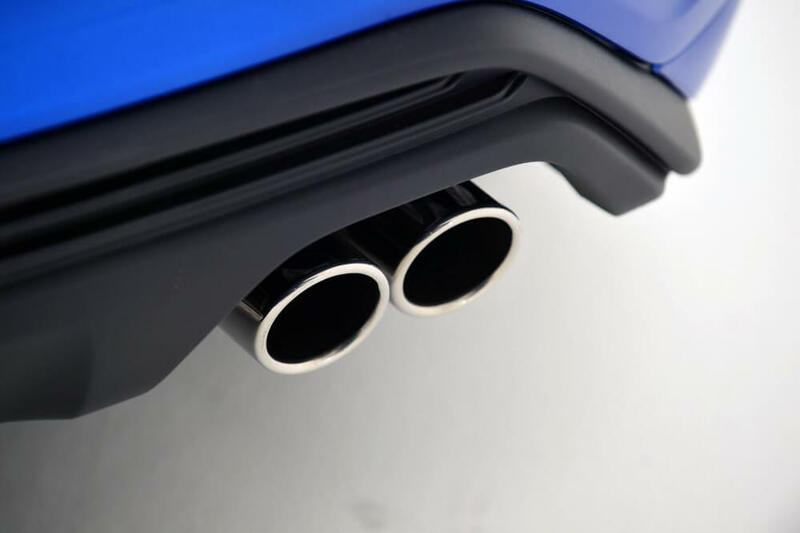 Behind the front bumper, we can find new solutions that will automatically open or close the inlets to the radiator to reduce air resistance. 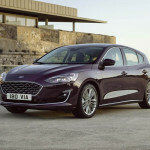 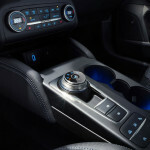 This 8-speed automatic gearbox will be new on the market, and the models equipped with it will no longer have a classic shift stick, it will be replaced by a rotary gear selector known from Ford Fusion models, but also from Jaguar, Range Rover, Chrysler. 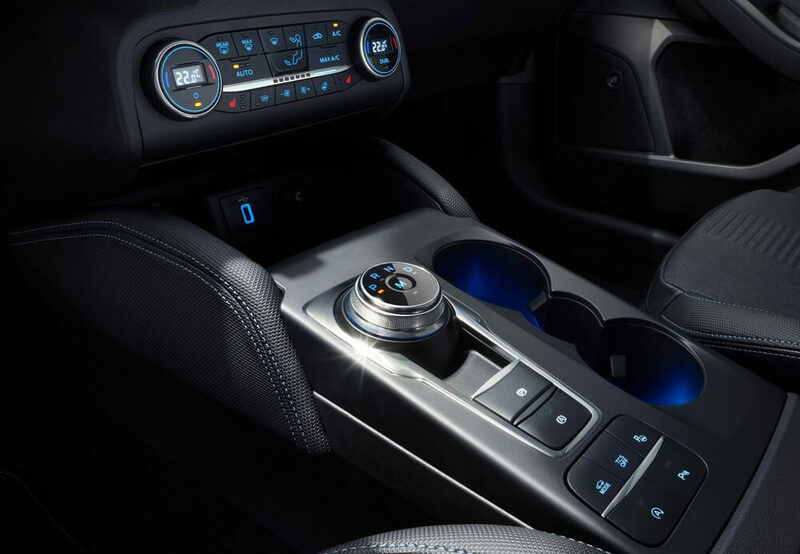 The handbrake was replaced with an electric button to gain space.